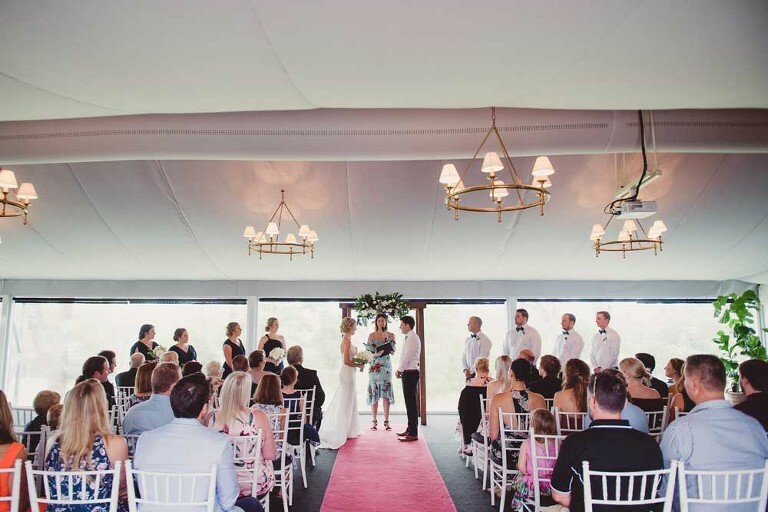 When you don't want to take any chances with the weather, nothing beats an indoor wedding ceremony. 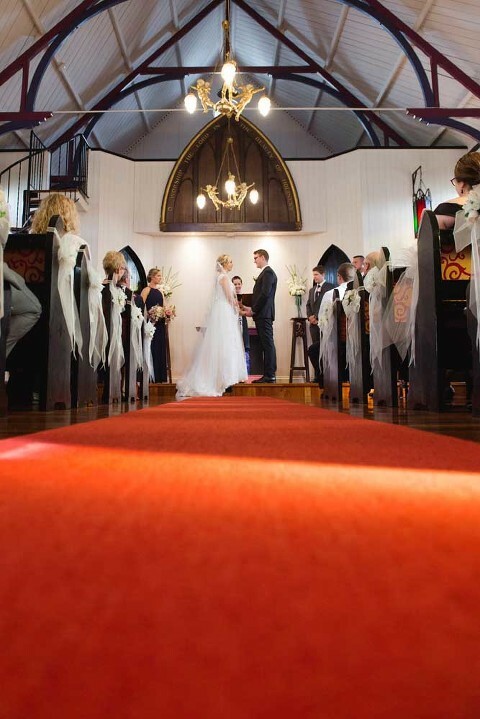 Be it traditional churches or more modern under cover options, there is quite the choice. 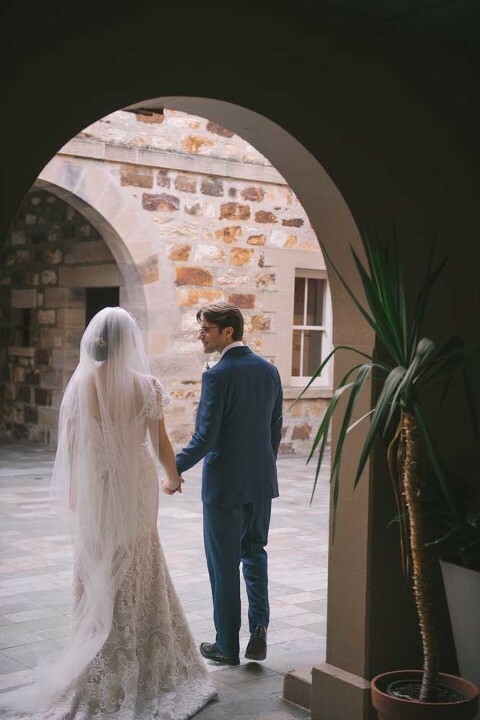 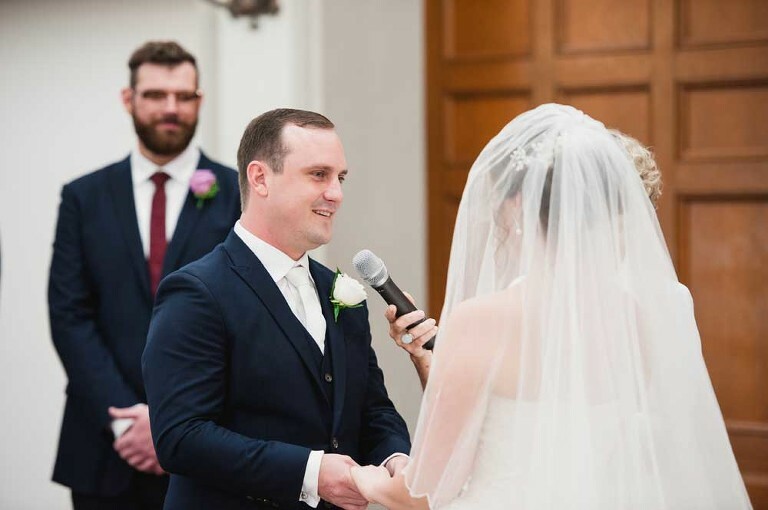 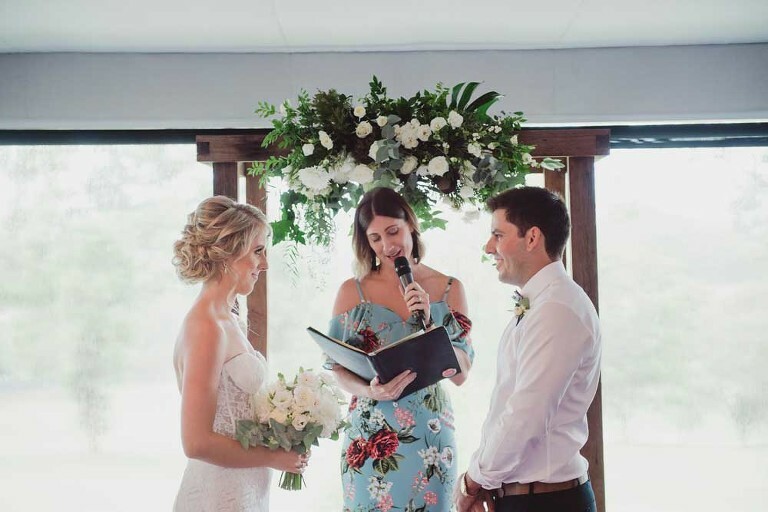 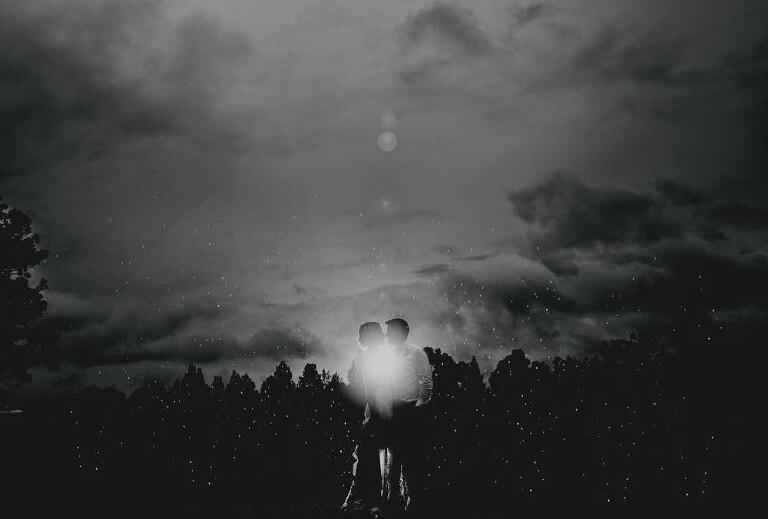 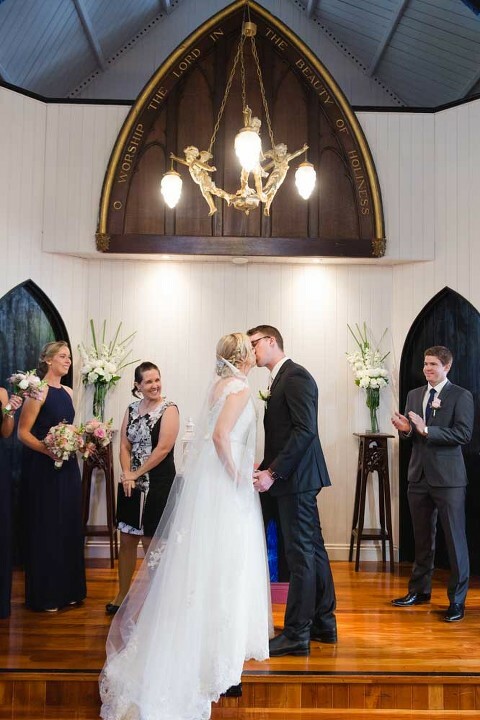 Below is a list of some of my favourite indoor ceremony venues in Brisbane and my thoughts on what makes each one special. 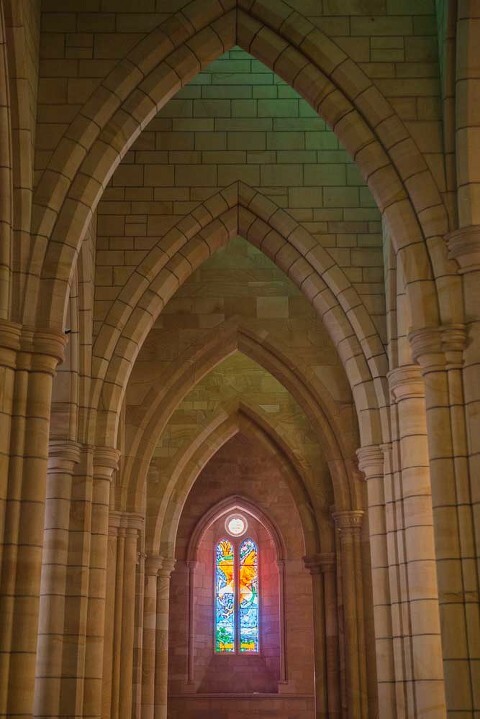 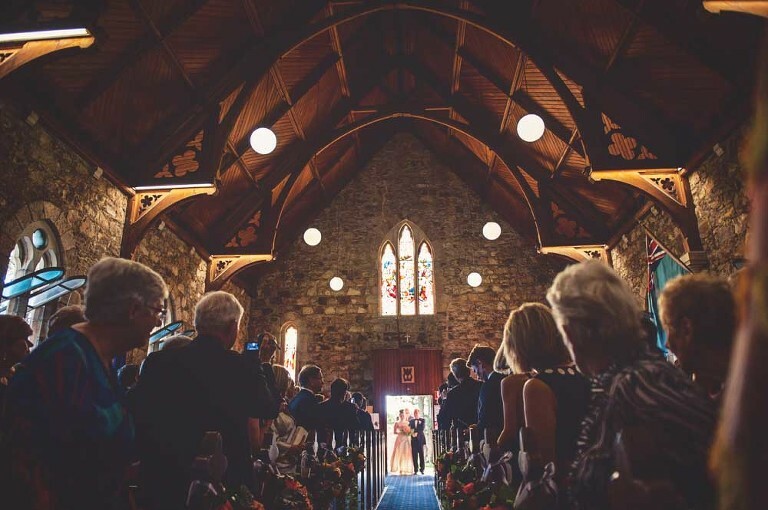 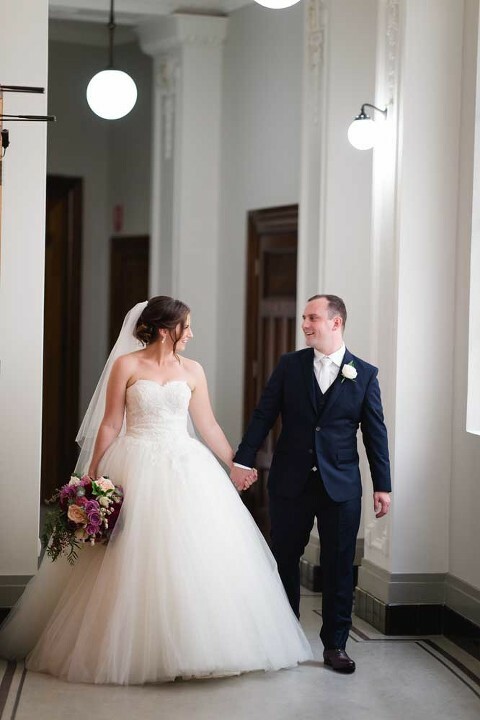 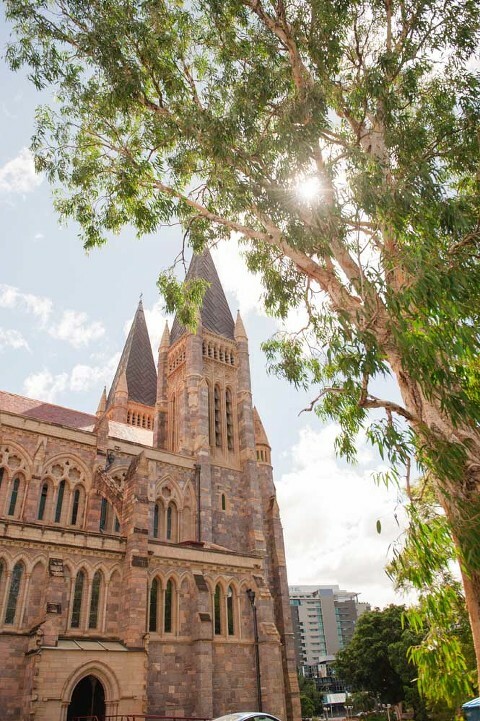 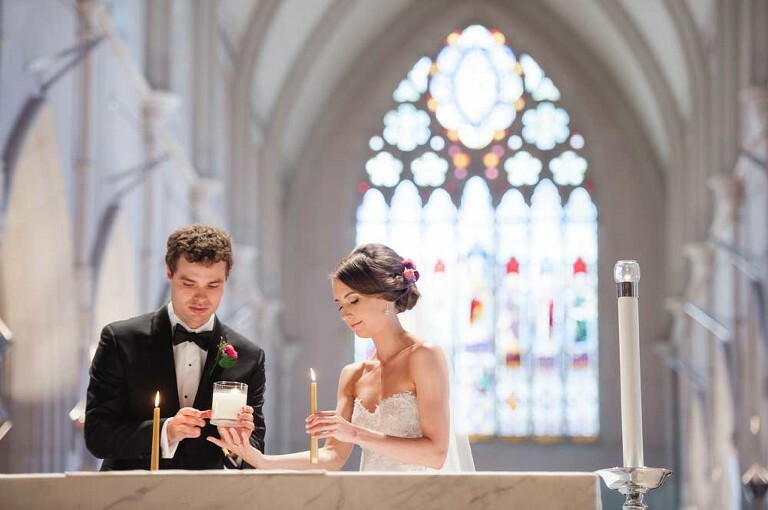 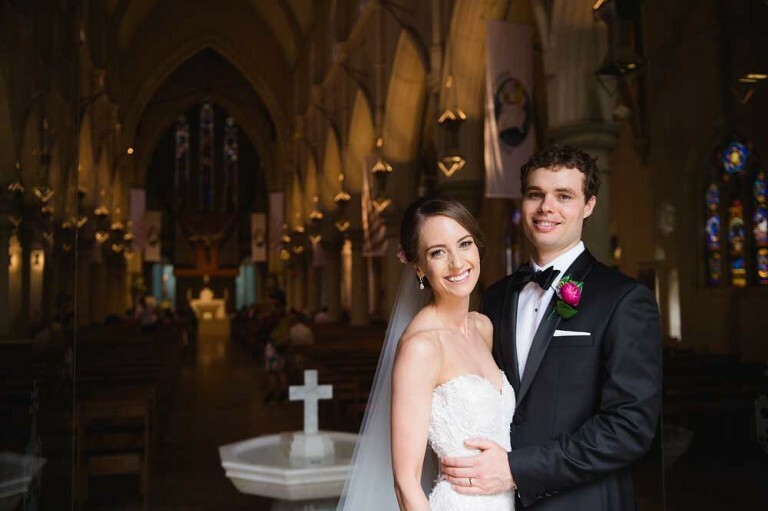 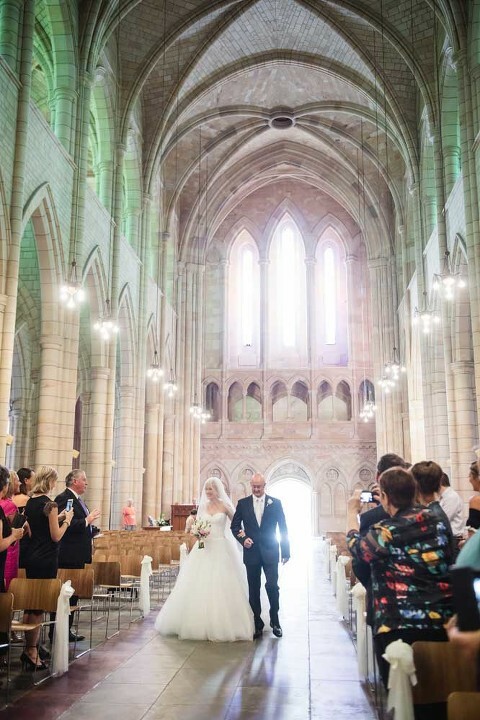 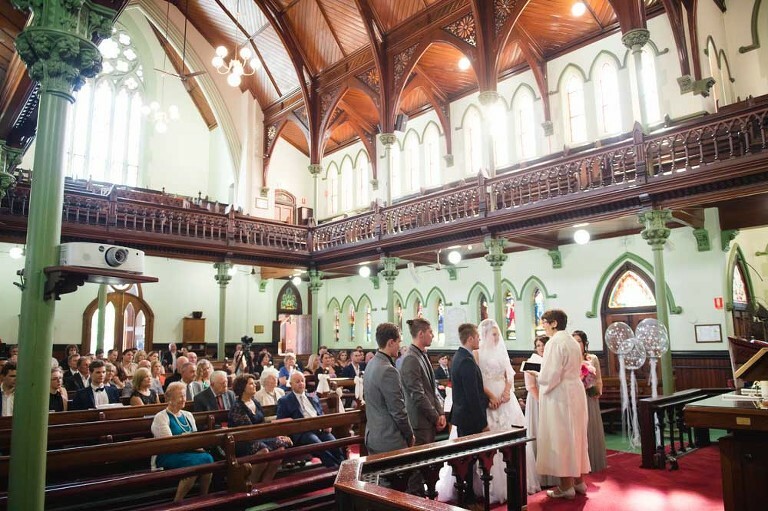 Stunning architecture, perfect stained glassed windows and majestic vaulted arch ceilings are just some of the features of the always popular Cathedral of St Stephen for wedding ceremonies. 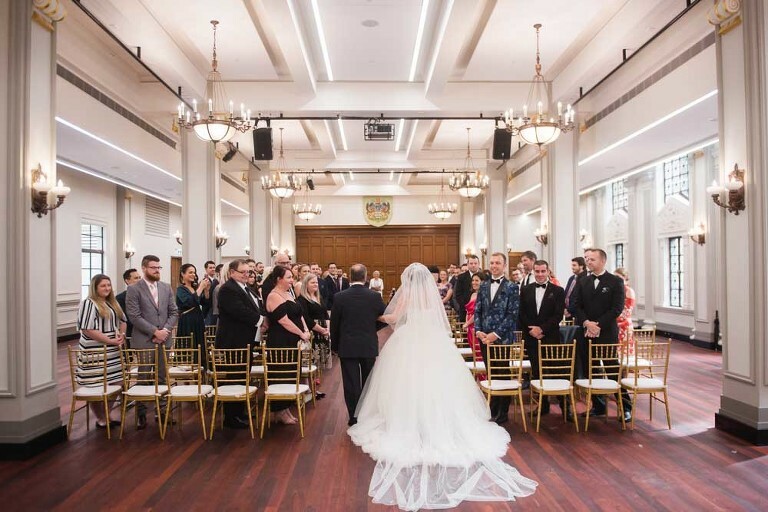 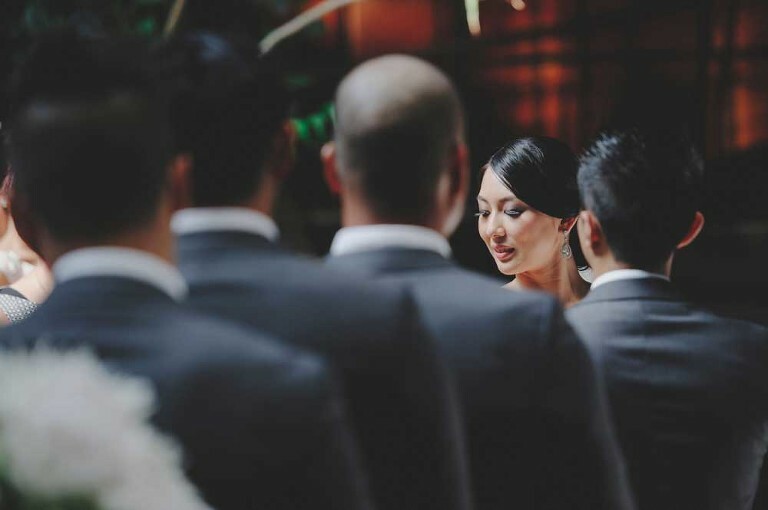 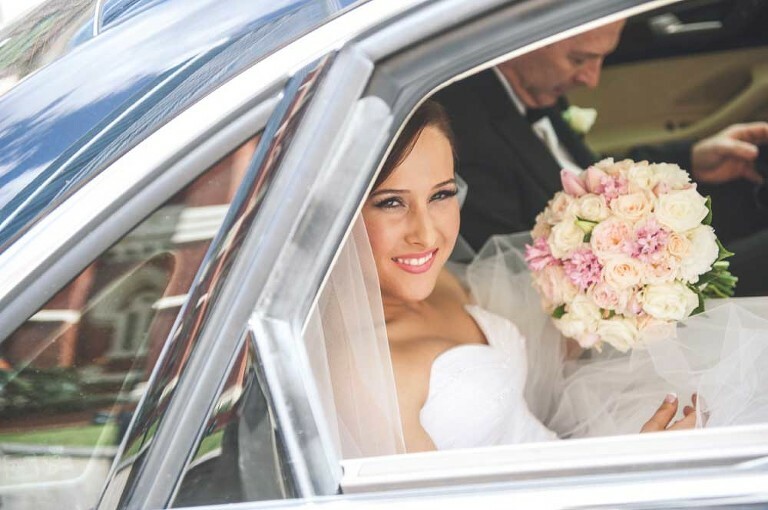 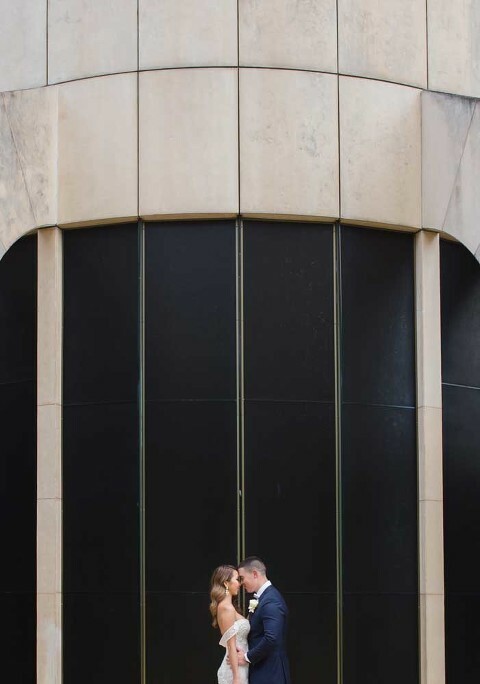 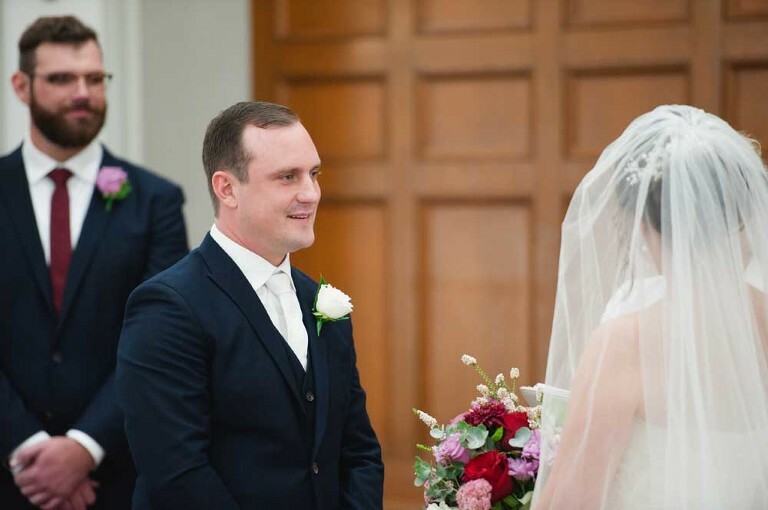 The inner city location also makes it ideal for those with city wedding reception plans, being a short walk to the Stamford Plaza, Moda, Customs House and many other city venues. 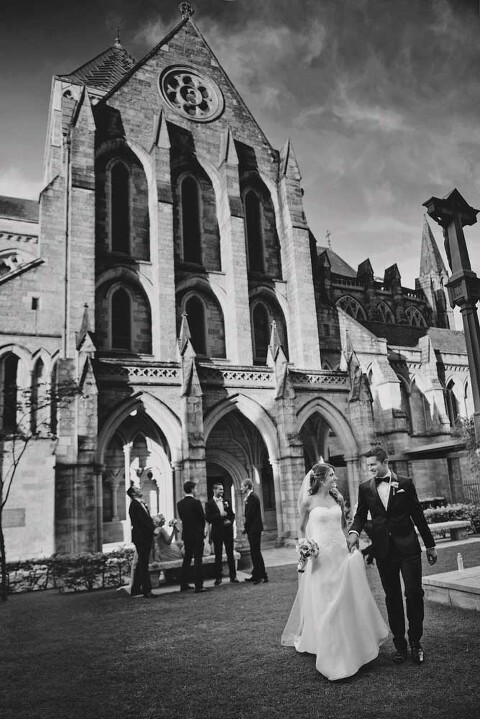 We love photographing at the Cathedral of St Stephen not just because of it beauty but also the great access it has to the Heritage lanes, the river side and botanic gardens nearby. 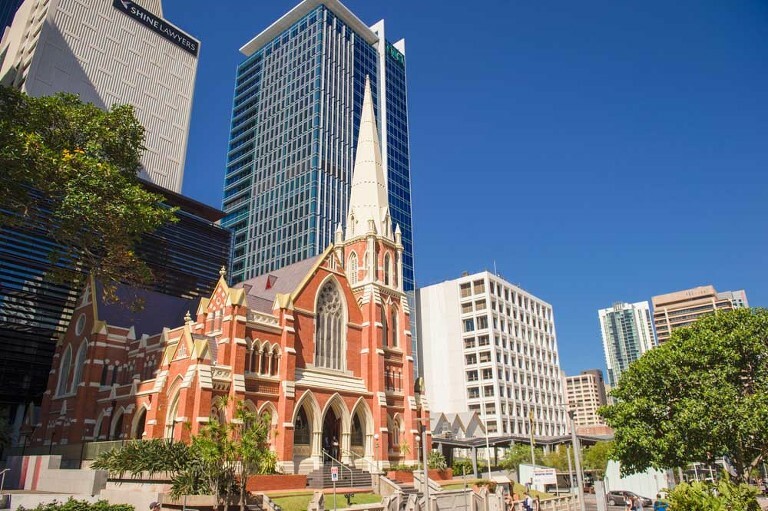 Probably one of the most splendid and imposing structures in Brisbane is the magnificent St John's Cathedral. 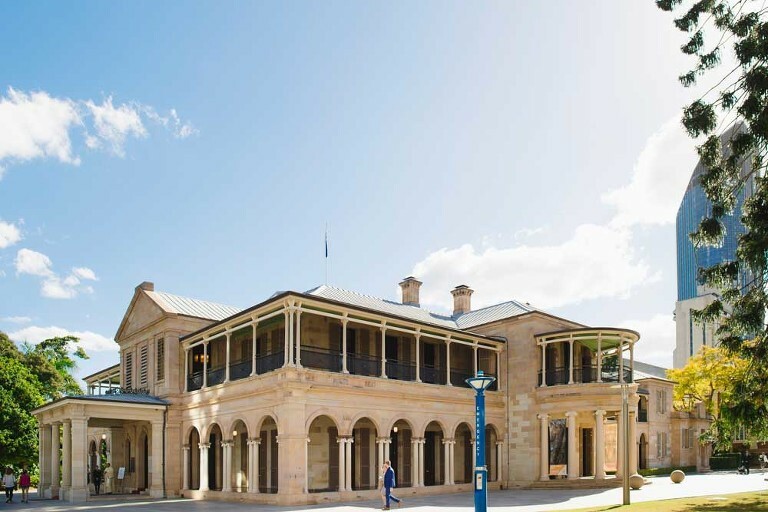 This heritage listed sandstone marvel is also right in the heart of the city. 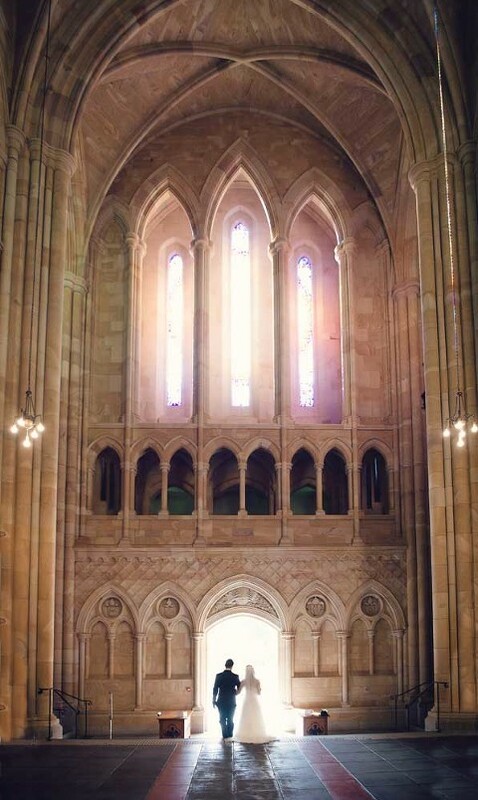 With its towering vaulted ceiling and pristine stained glassed windows, it really is a place you have to experience. 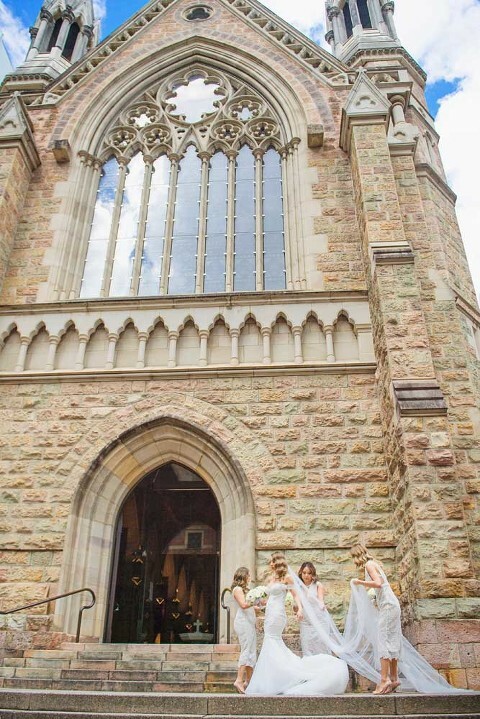 The spacious front steps of the church make for the perfect spot for a guest group photo. 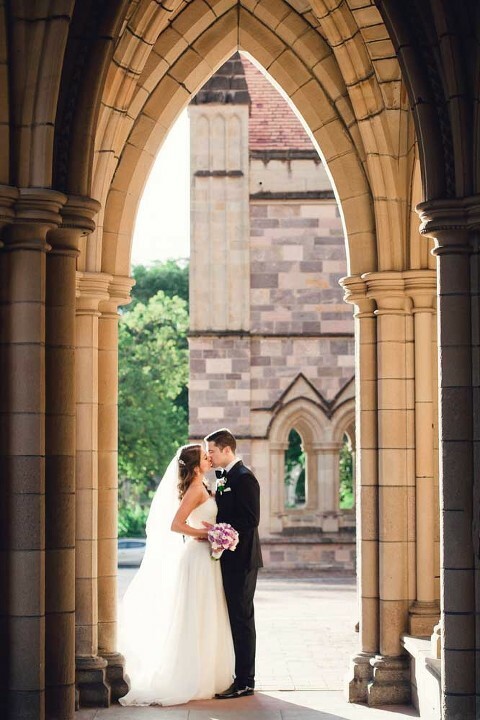 I also like to duck back into the church following the ceremony as the beautiful columns and arches make for an amazing photo location with the newly married couple. 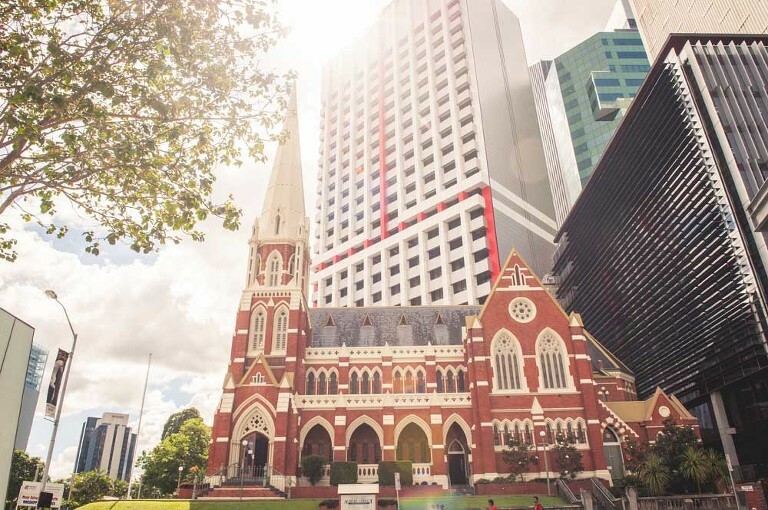 This century old, heritage listed church is situated right in the city centre, just a stone's throw from City Hall. 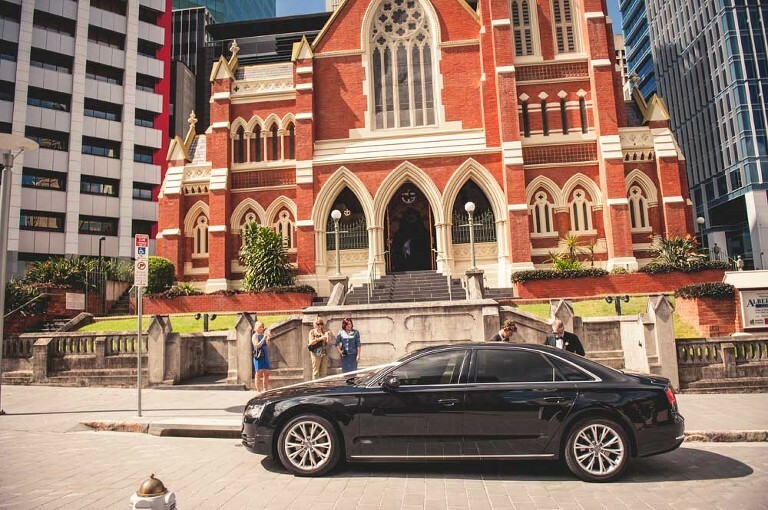 It’s unique architecture contrast nicely against the modern steel and glass towers that surround it. 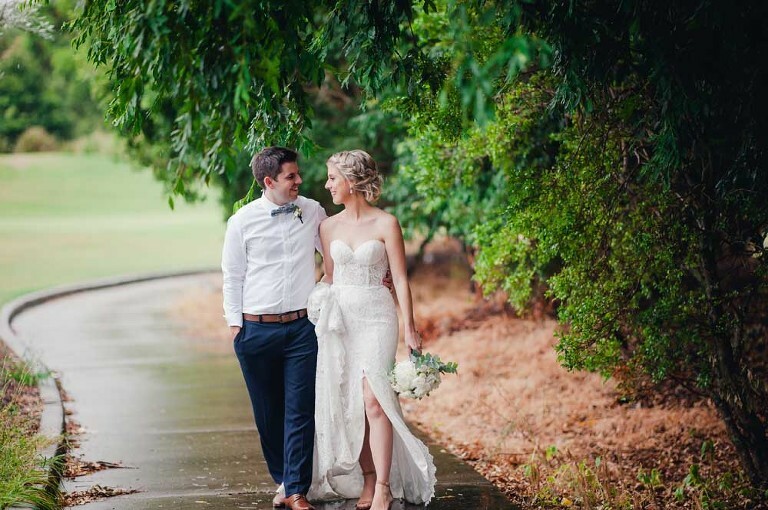 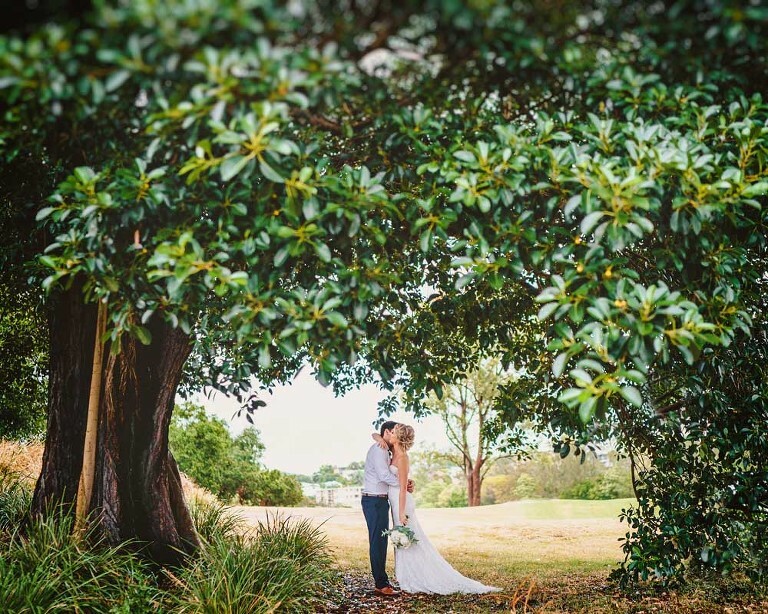 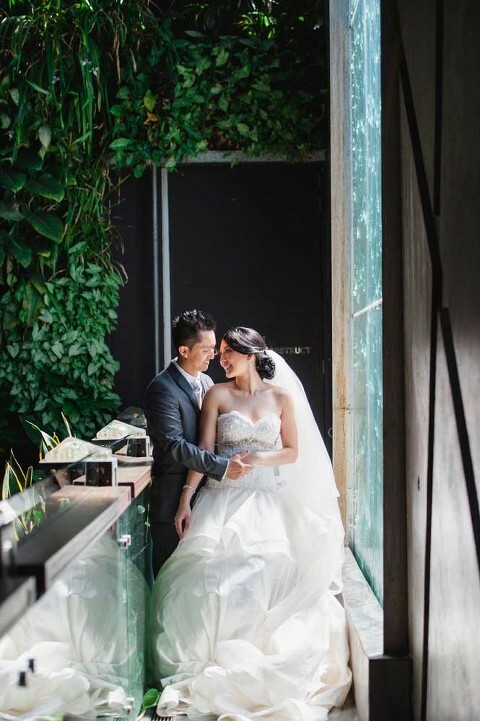 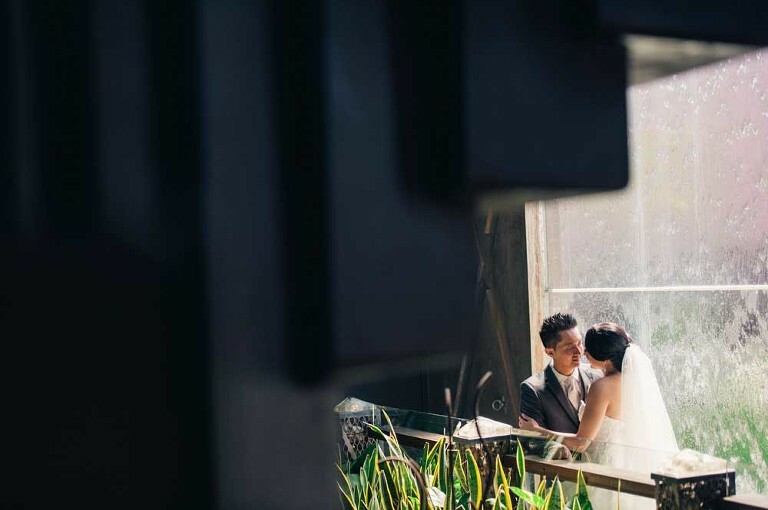 Being this close to the city has the advantage of being just a short stroll to some of the cities best wedding reception venues as well as being close to the picturesque Roma St Parklands which makes for a great photography location. 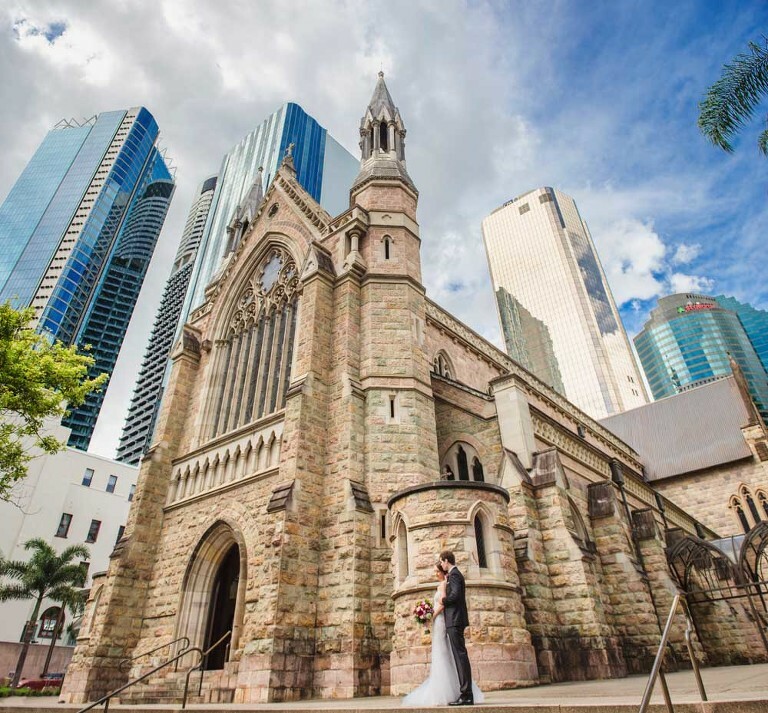 Sitting right atop the Kangaroo point cliffs with a spectacular panoramic view of the city skyline and river below is the charming St Mary’s church. 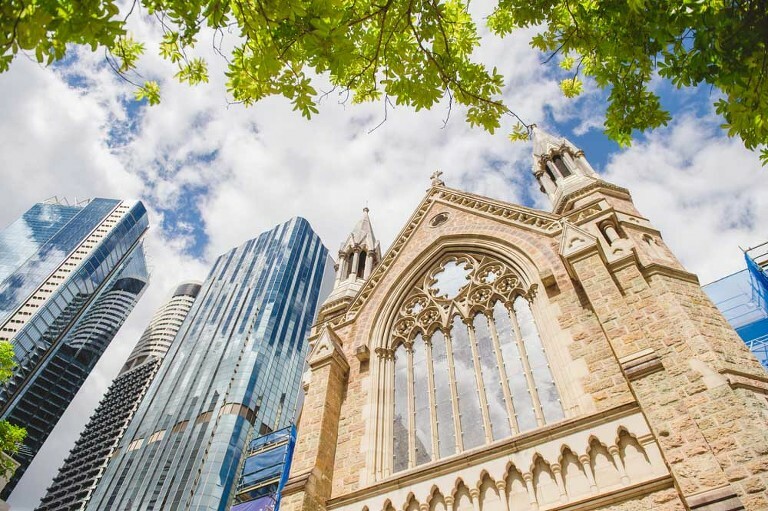 You would have to say that this little church with its amazing stonework must have arguably the best view of any church in Brisbane! 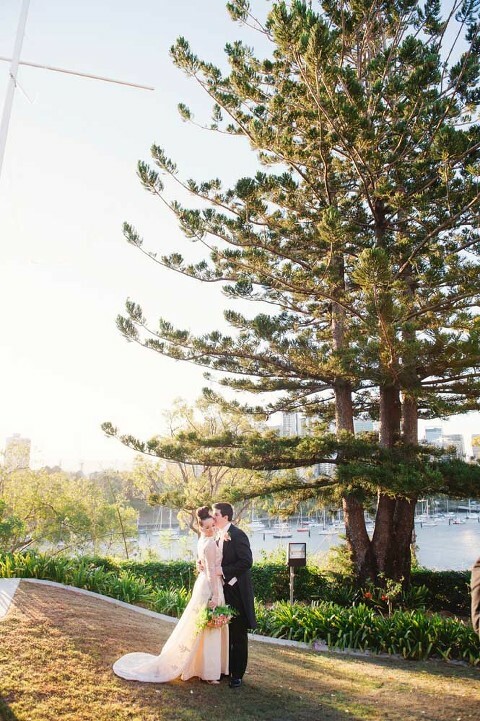 The Kangaroo Point cliffs and the river below offer a great backdrop for location photography following the ceremony. 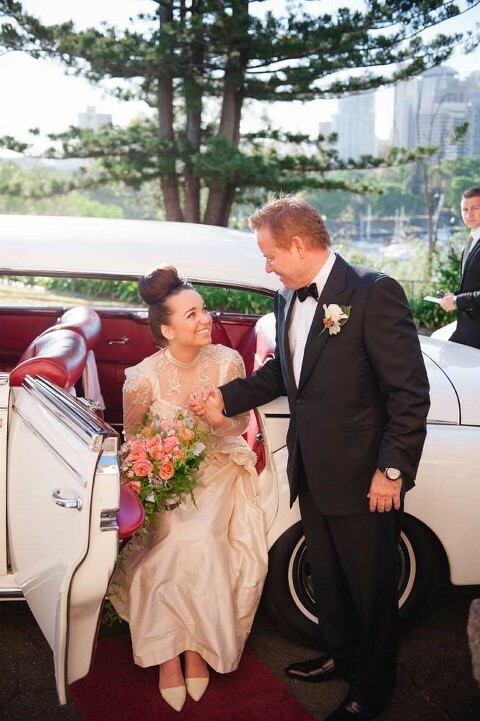 It is also just a short ferry ride to some great city restaurants and reception venues. 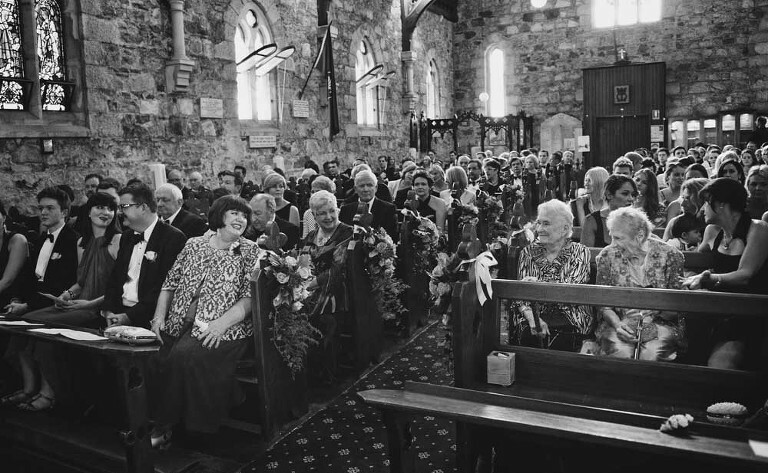 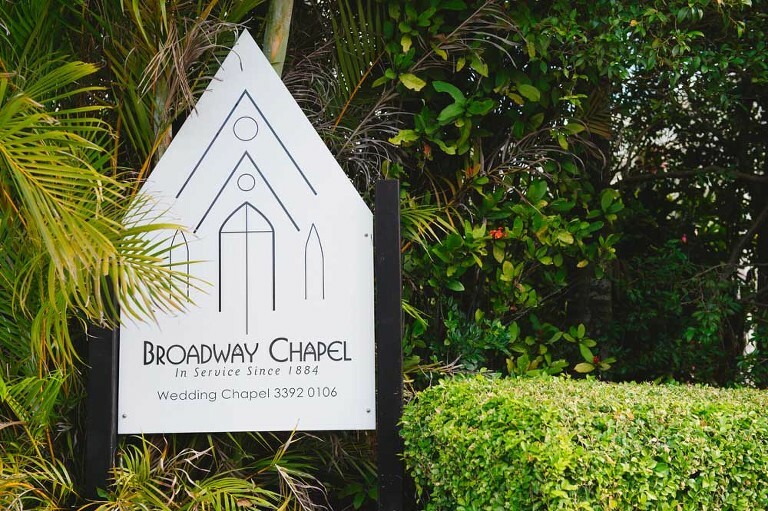 The heritage listed, non denominational Broadway Chapel provides a great alternative to a traditional church wedding ceremony. 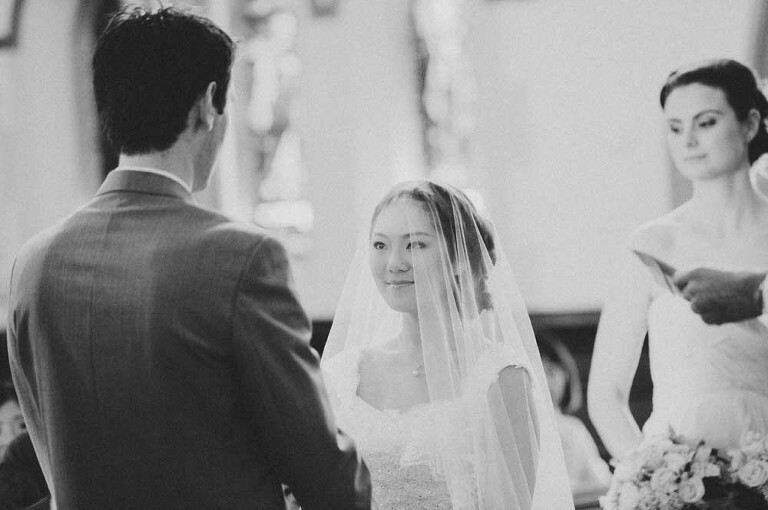 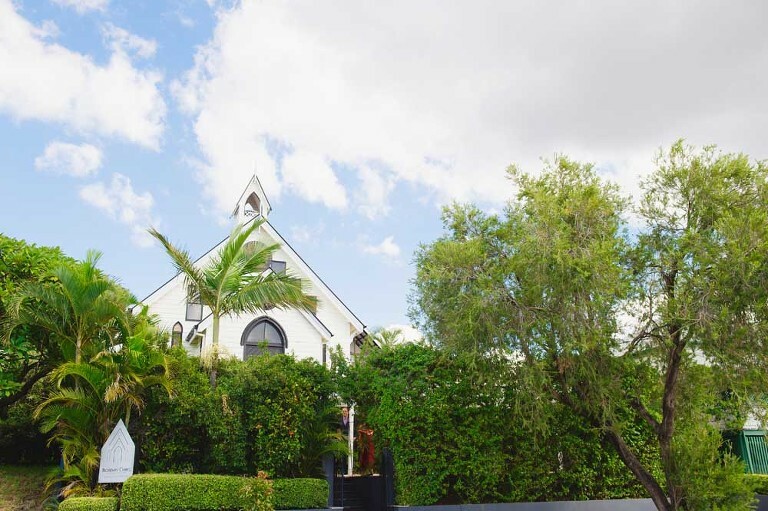 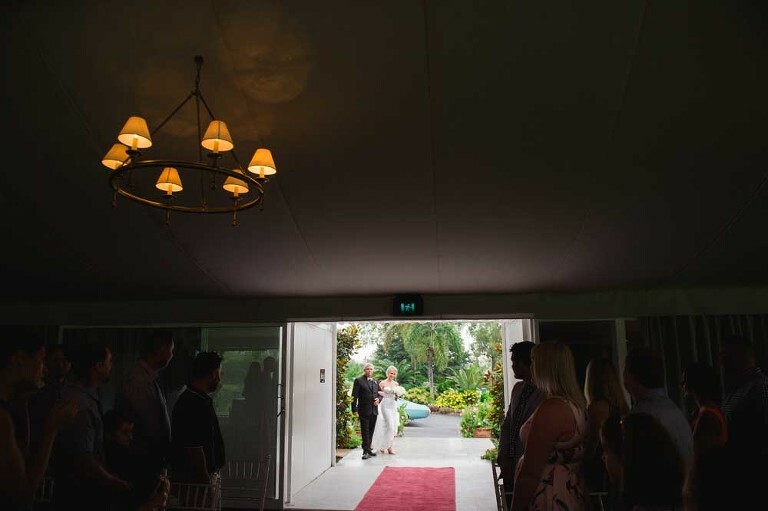 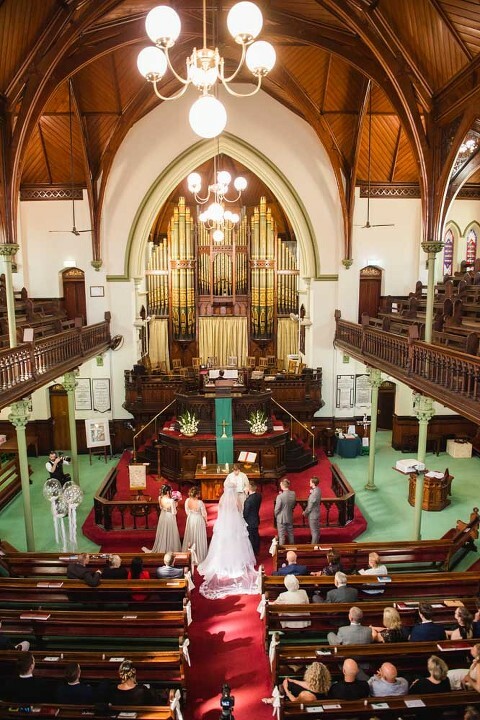 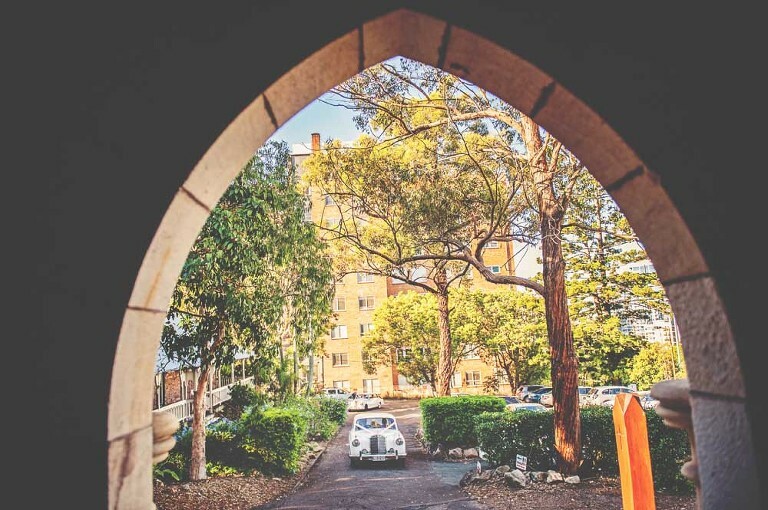 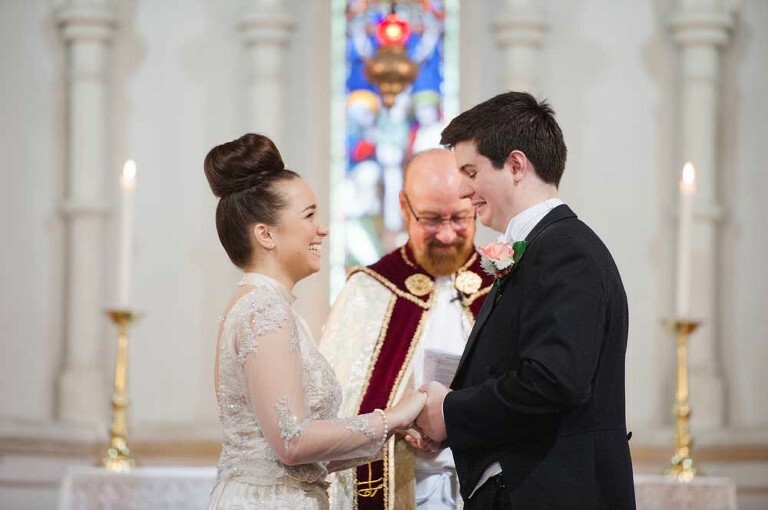 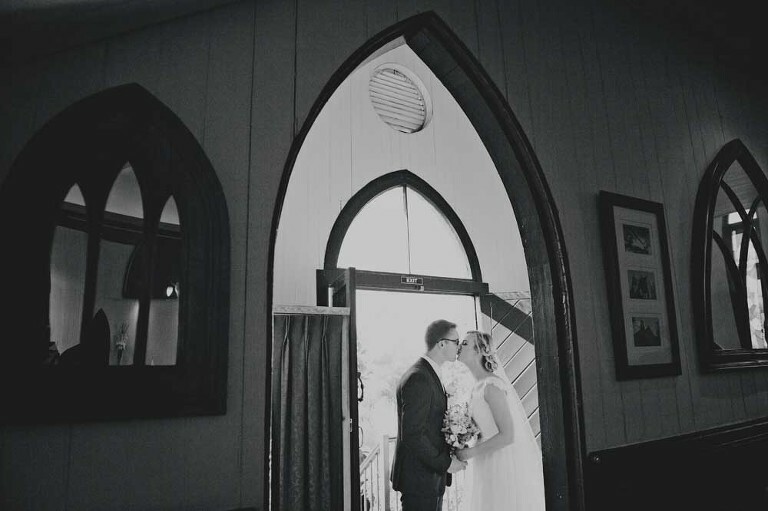 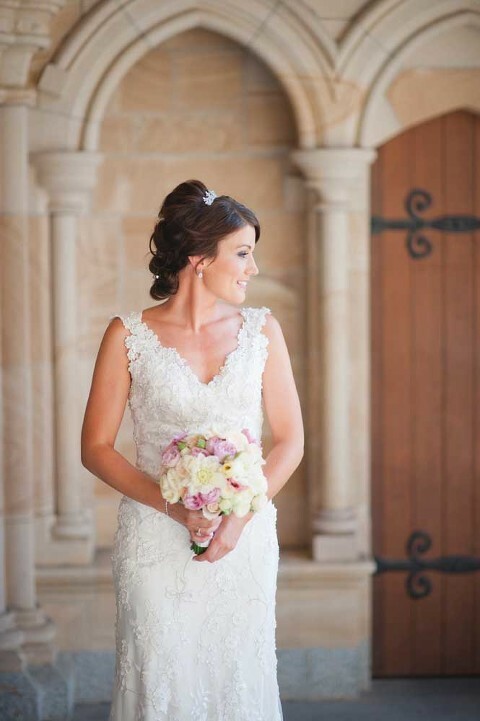 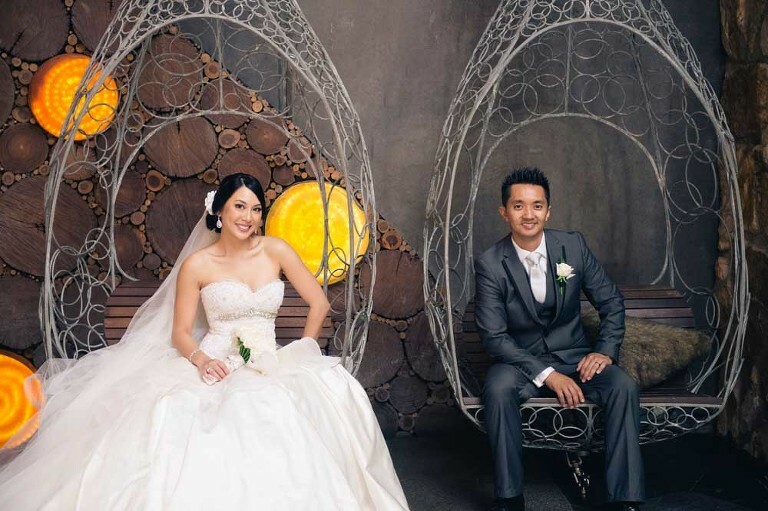 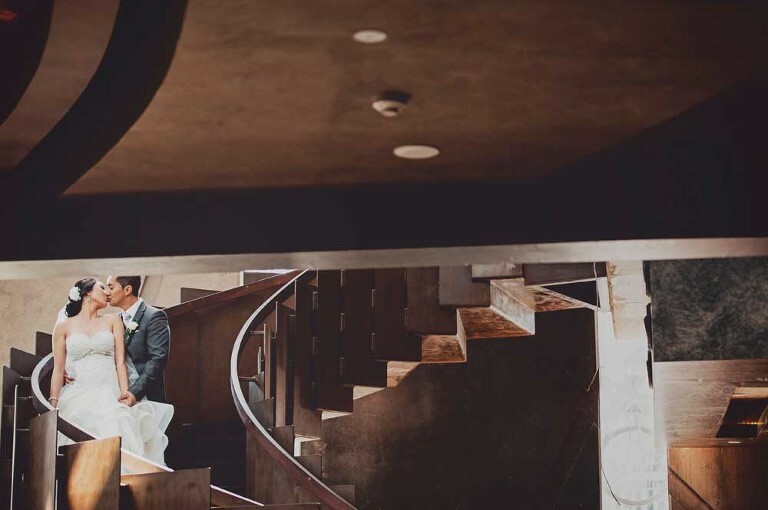 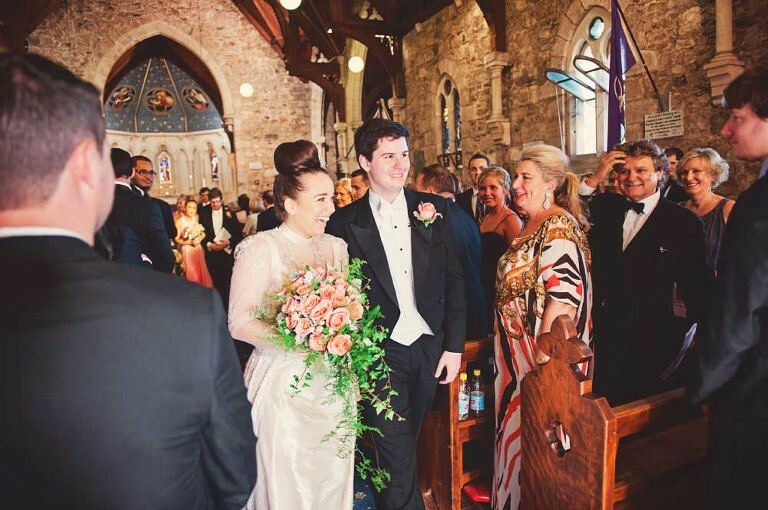 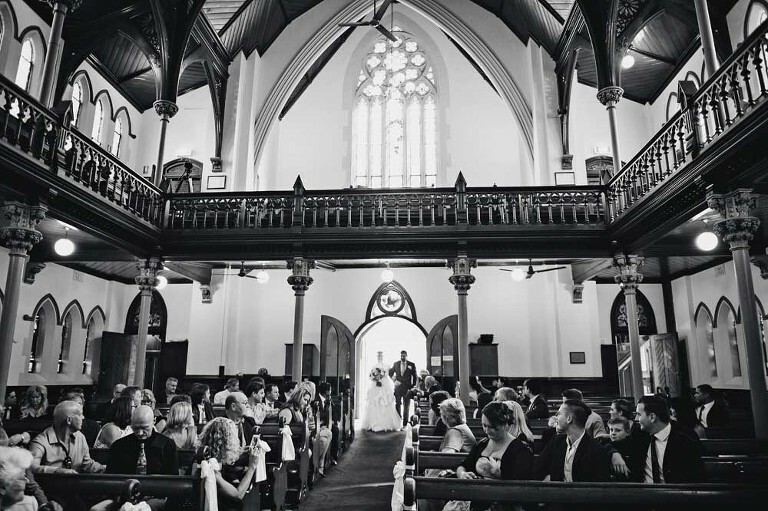 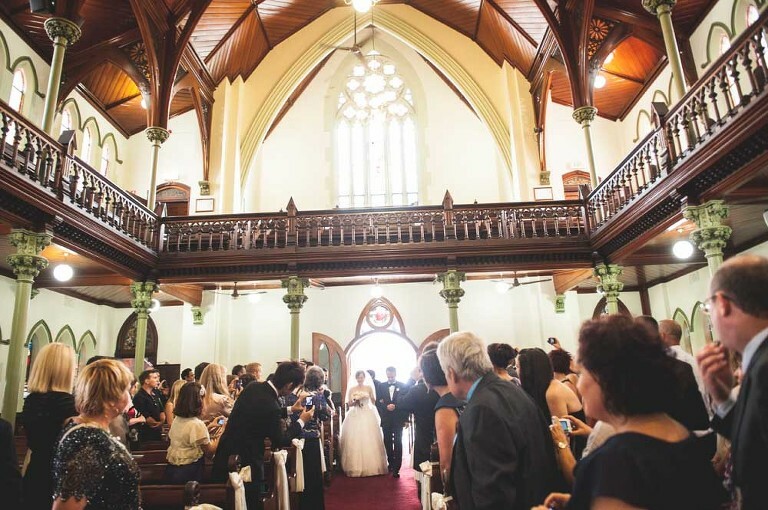 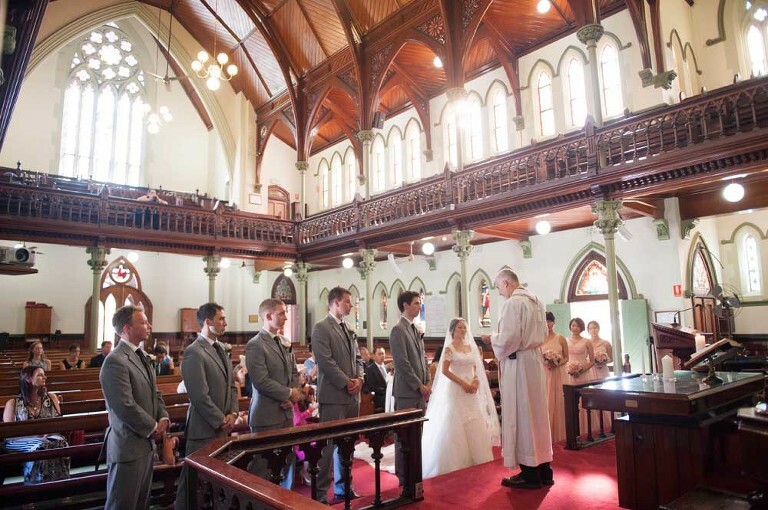 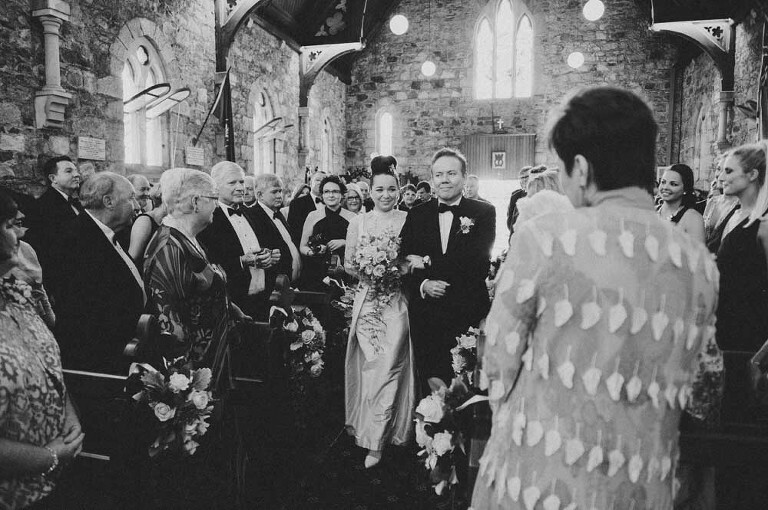 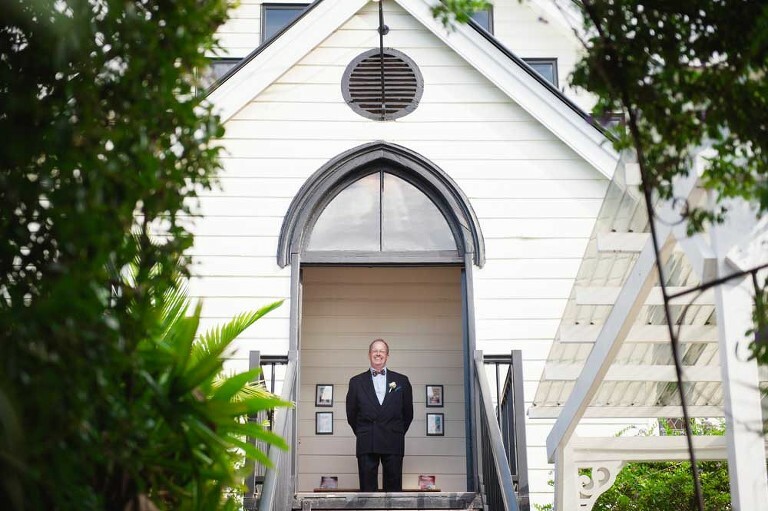 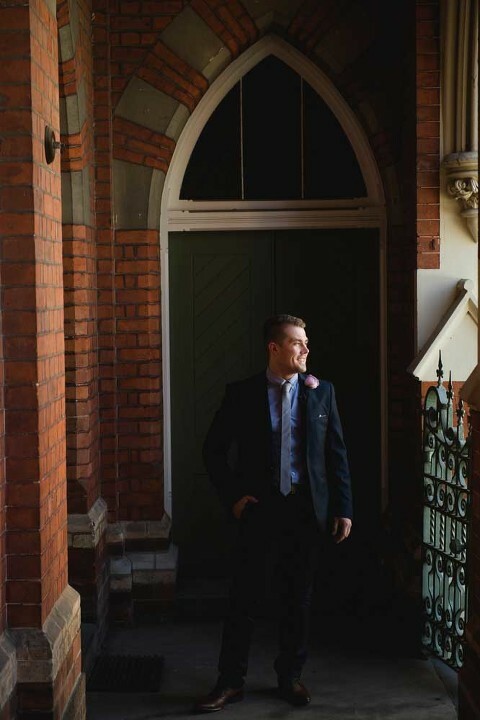 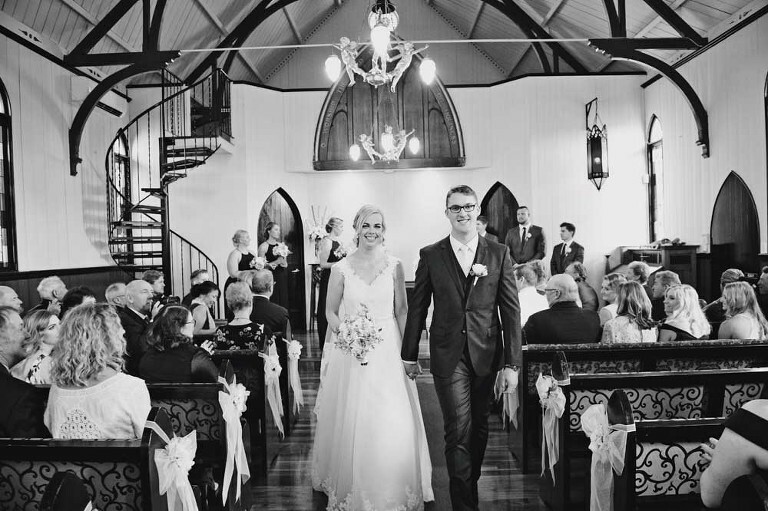 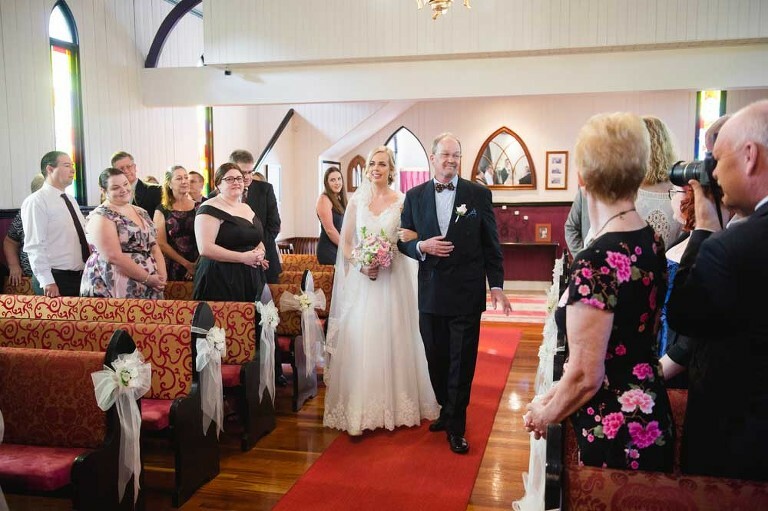 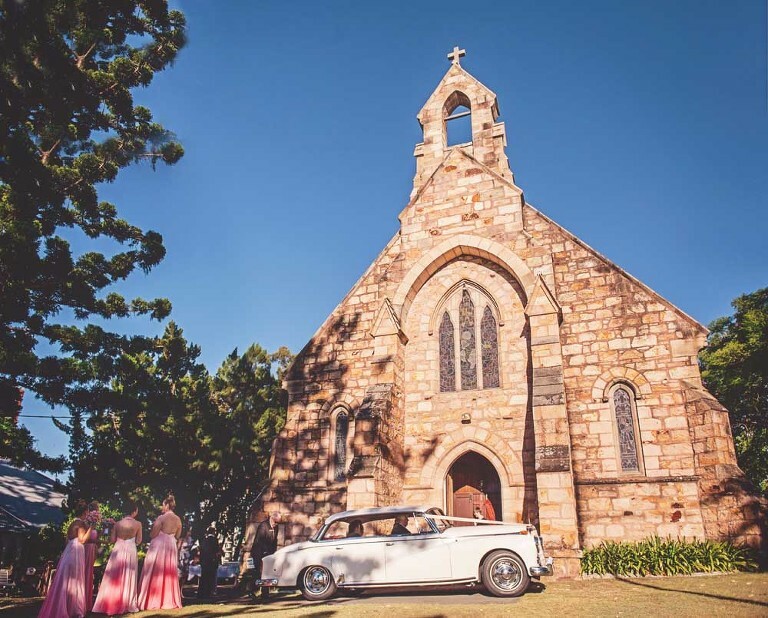 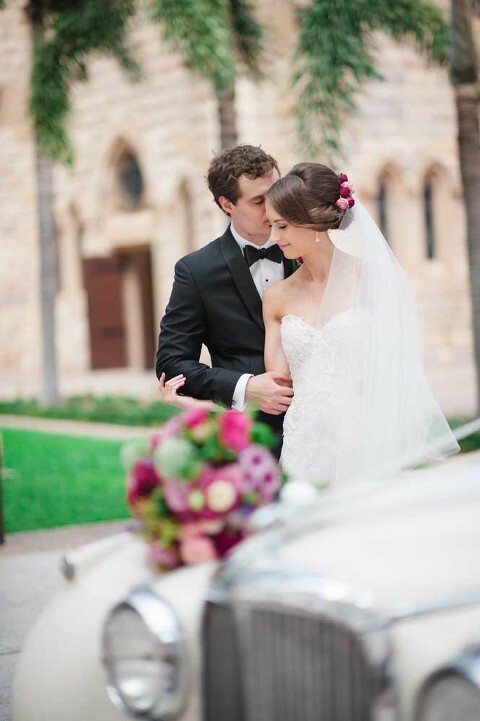 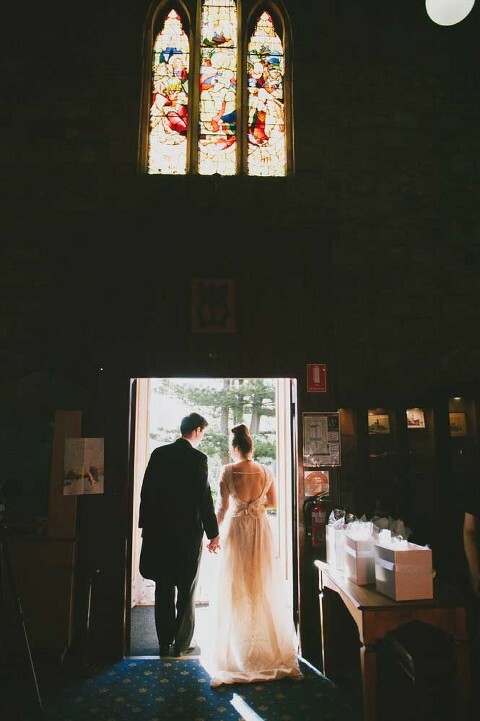 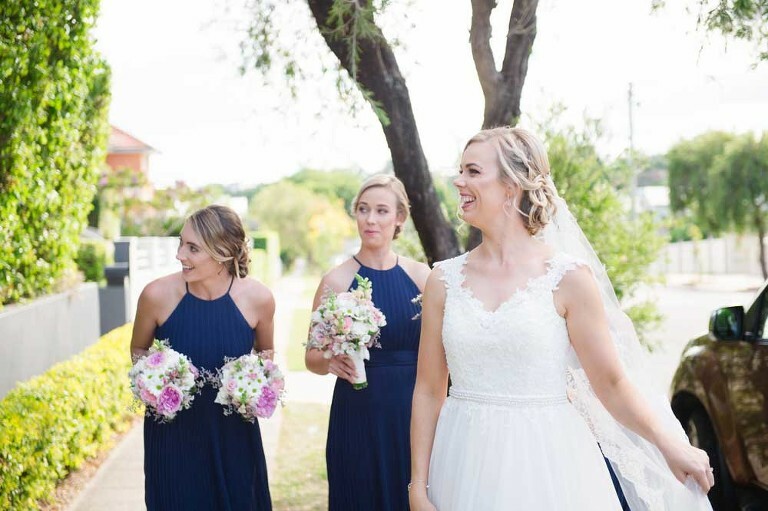 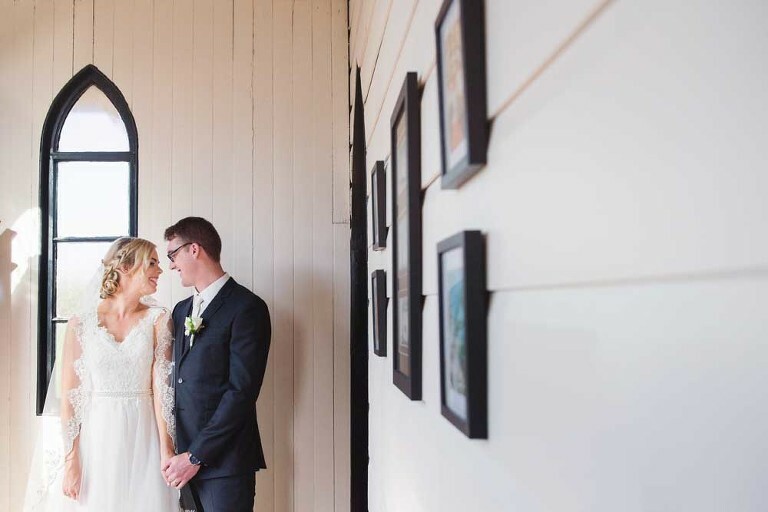 Situated in the inner city suburb of Woolloongabba, the chapel is quite easy for guests to get to and is close to Brisbane's inner city reception venues. 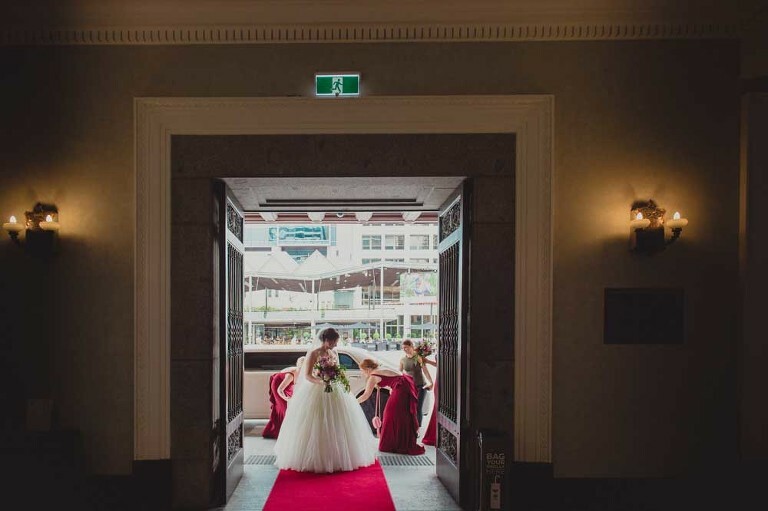 Cloudland is a unique venue right in the heart of Fortitude Valley. 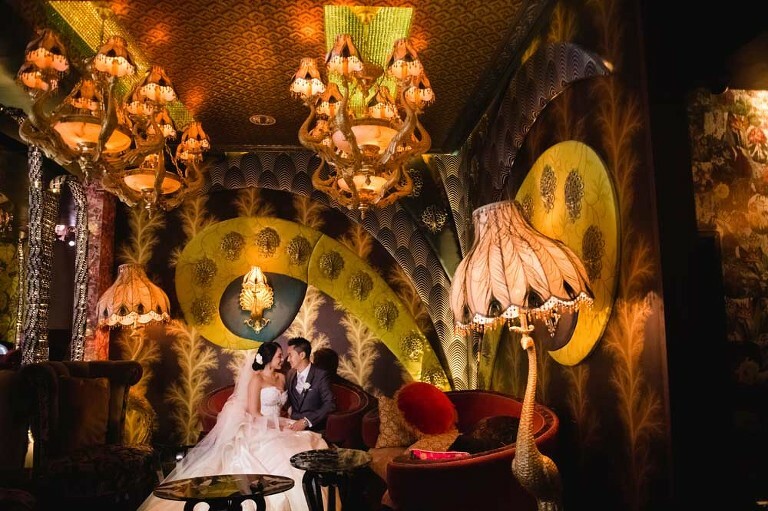 Filled with opulent, luxury interiors and spectacular style. 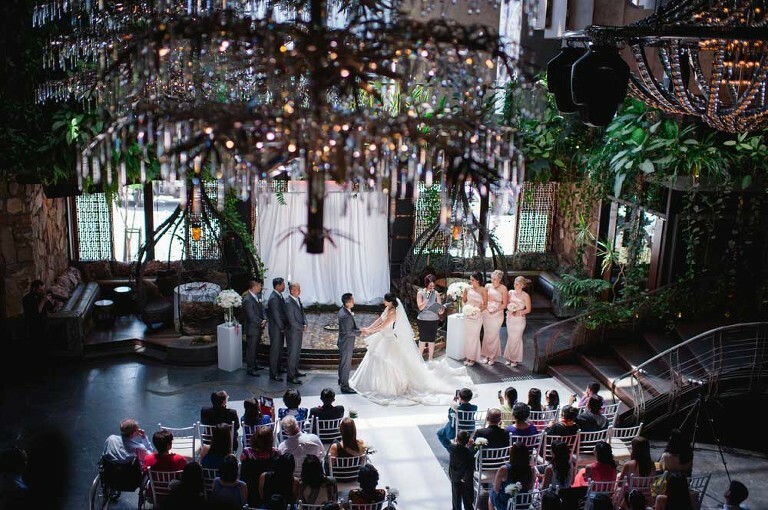 Despite being indoors, the ceremony area is bathed in filtered sunlight coming from the massive glass window/waterfall! 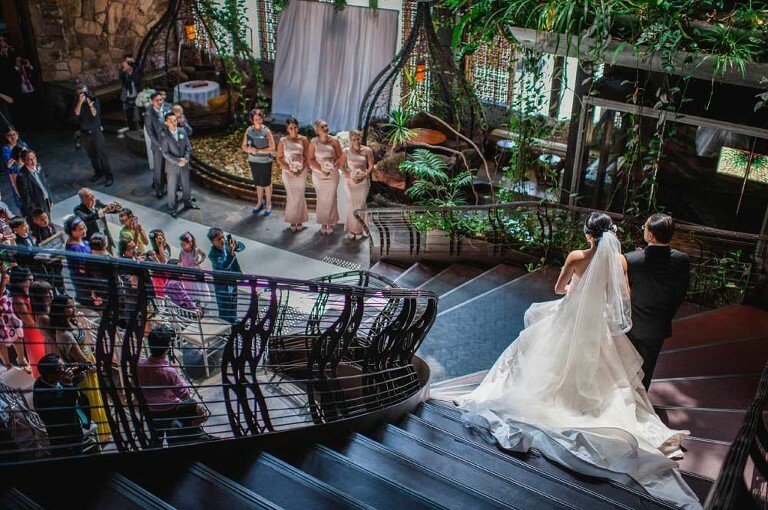 The venue is also filled with unique spaces that are great for bridal party photos while your guests are entertained at the bar. 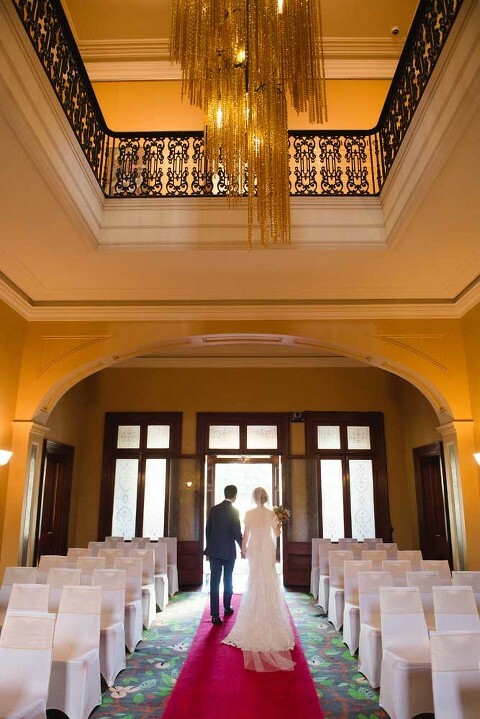 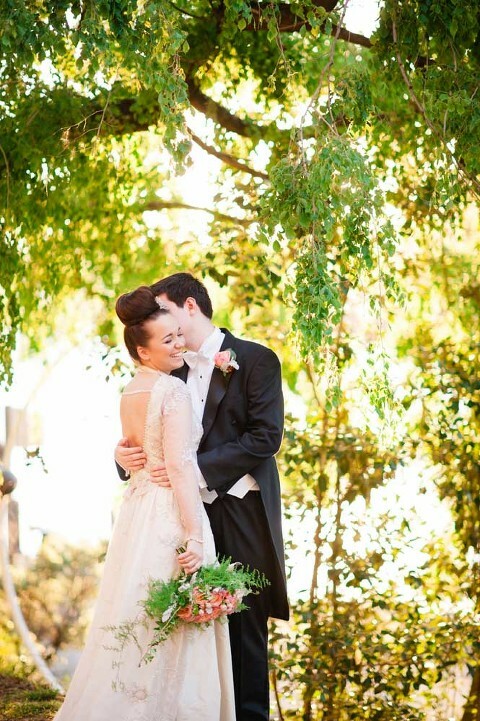 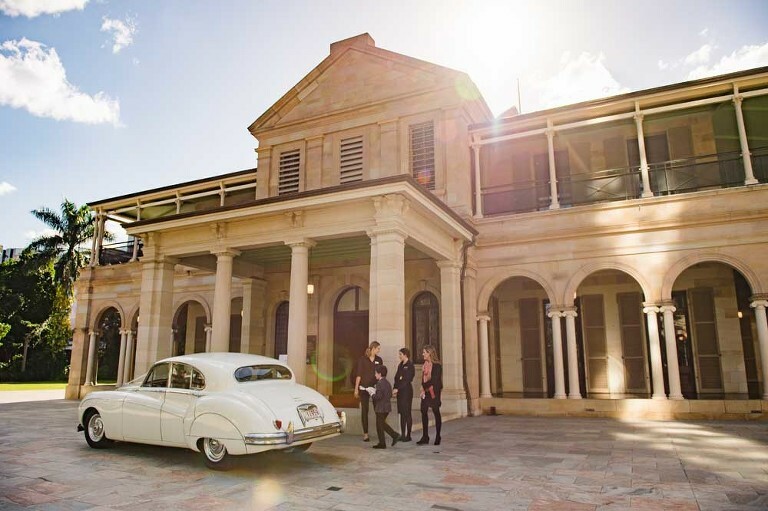 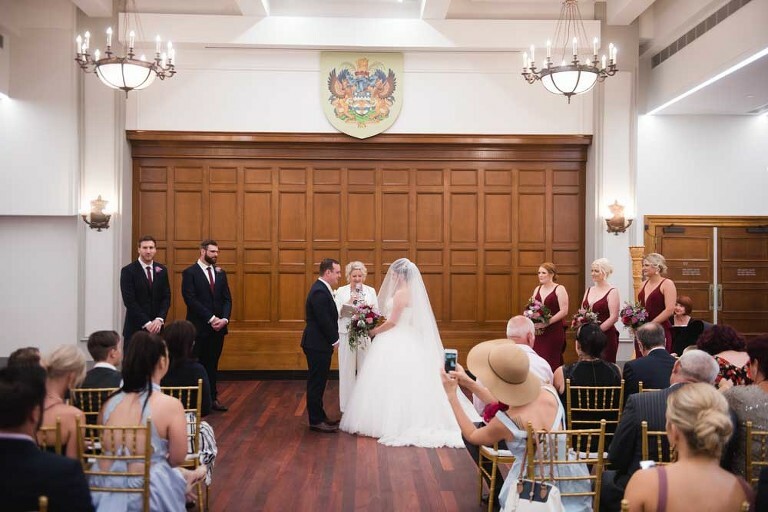 Not only is Old Government House a great outdoor wedding option, it also boasts an excellent indoor ceremony option. 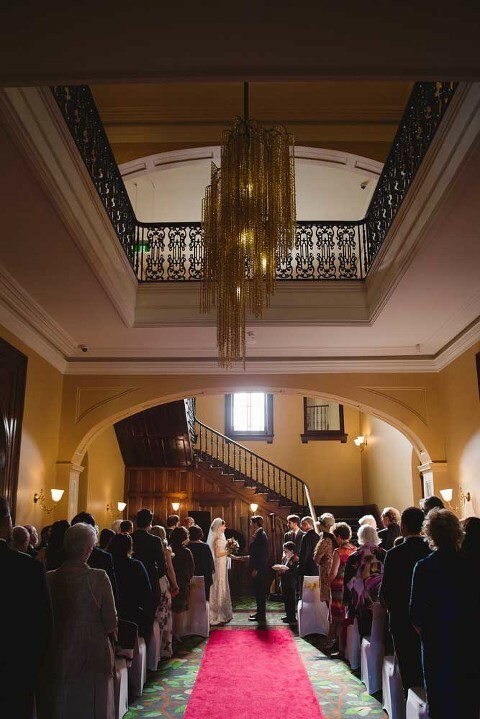 Weddings can be held at the base of the grand staircase under a gorgeous hand-crafted chandelier featuring 52,000 topaz and champagne Swarovski crystals! 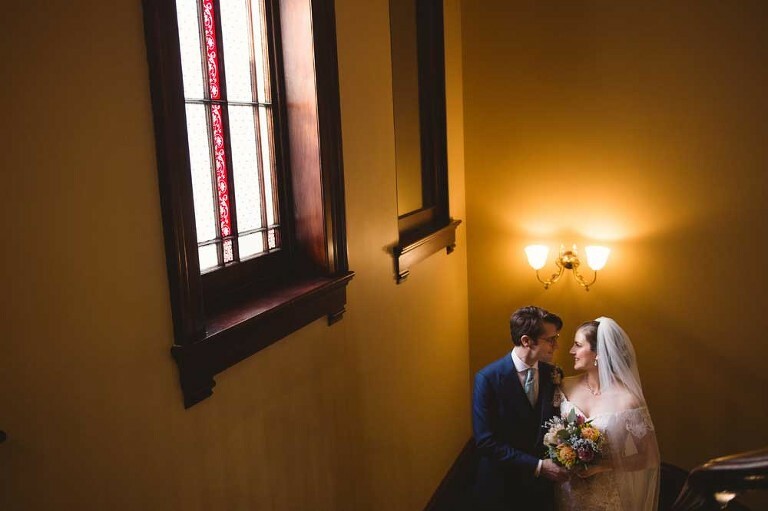 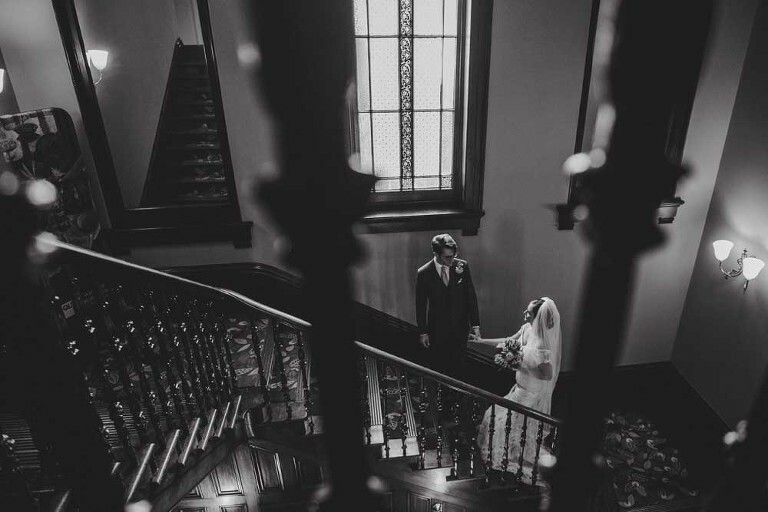 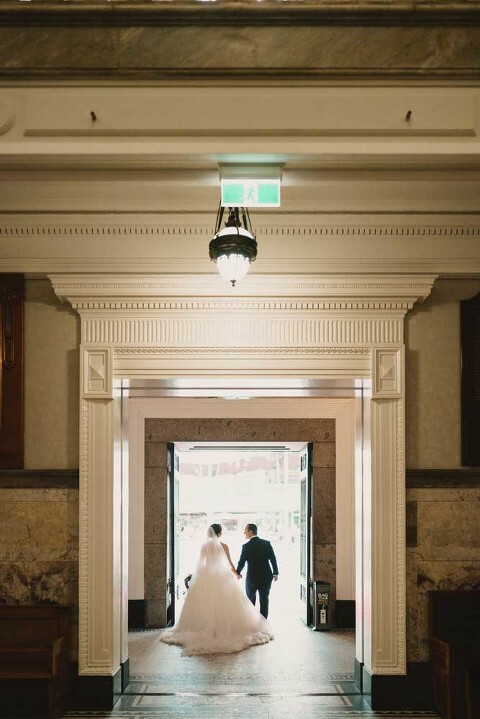 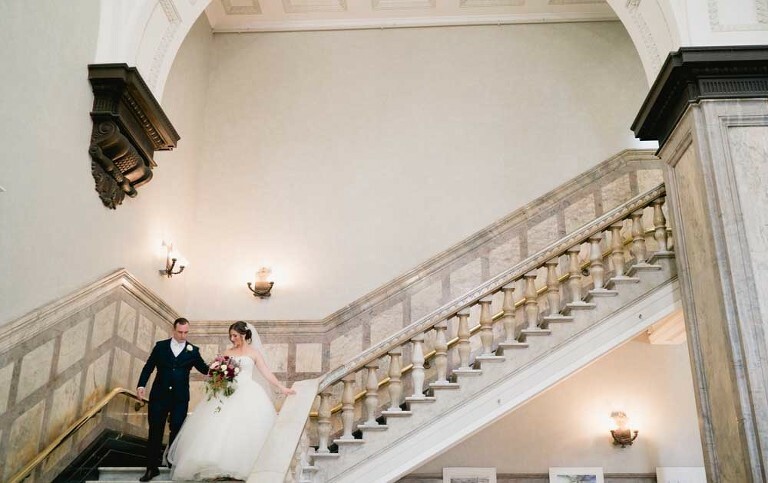 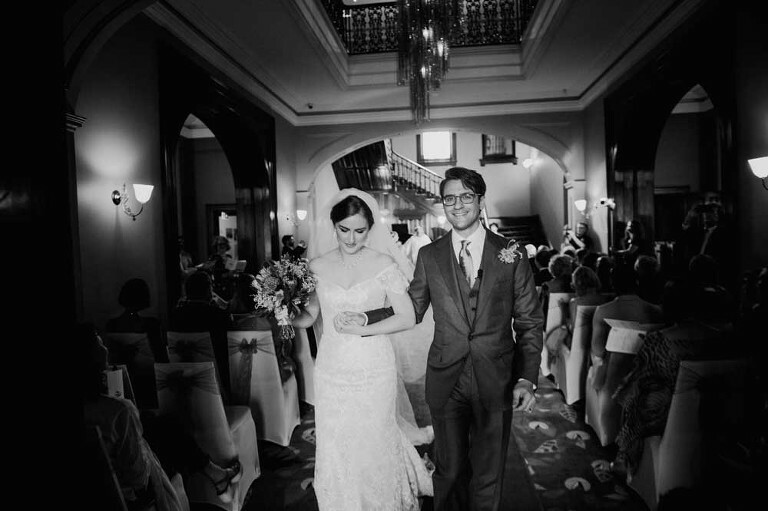 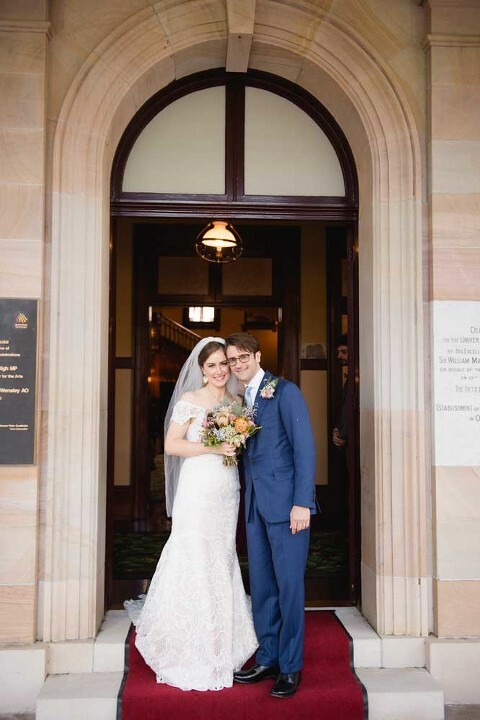 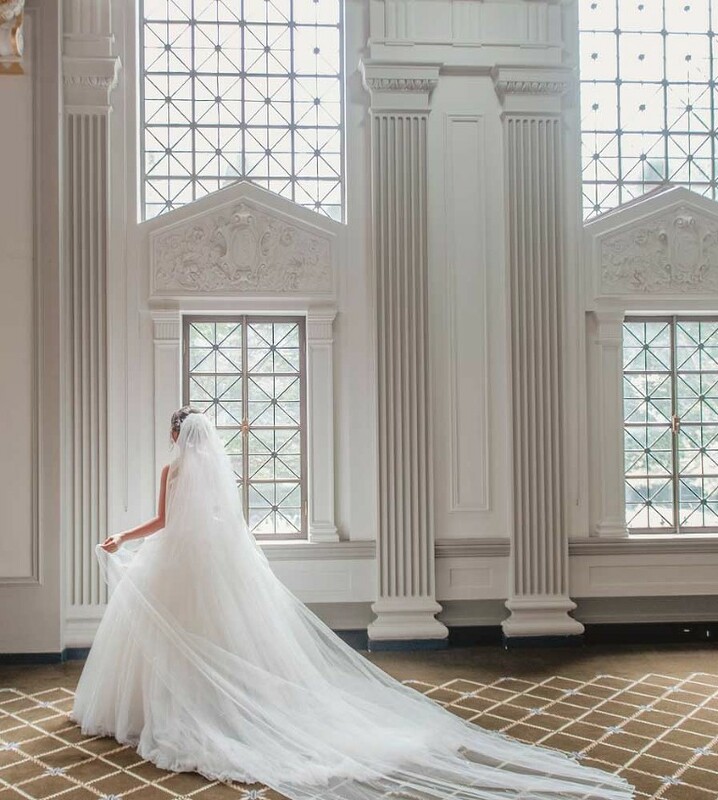 The stately interiors of old Government House also make for an elegant post-ceremony photo option. 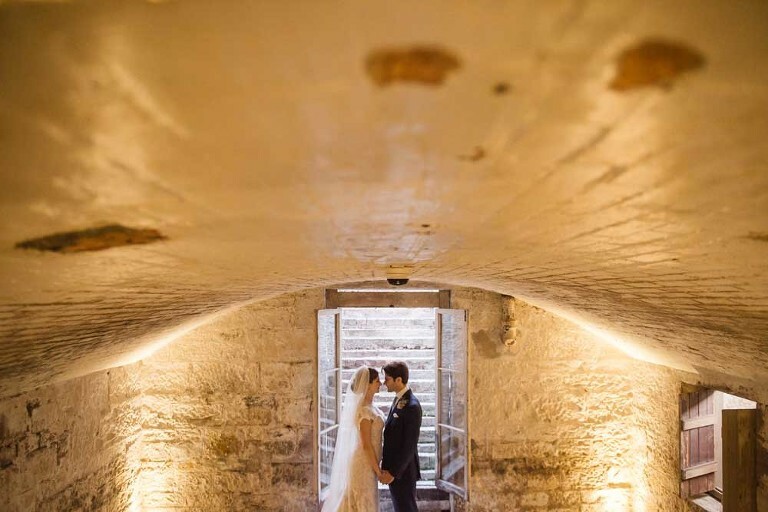 Not to mention the interior courtyard and old wine cellar. 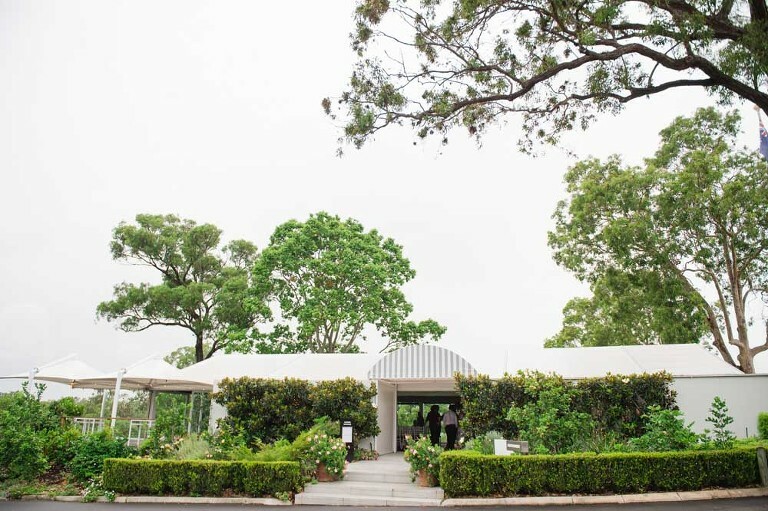 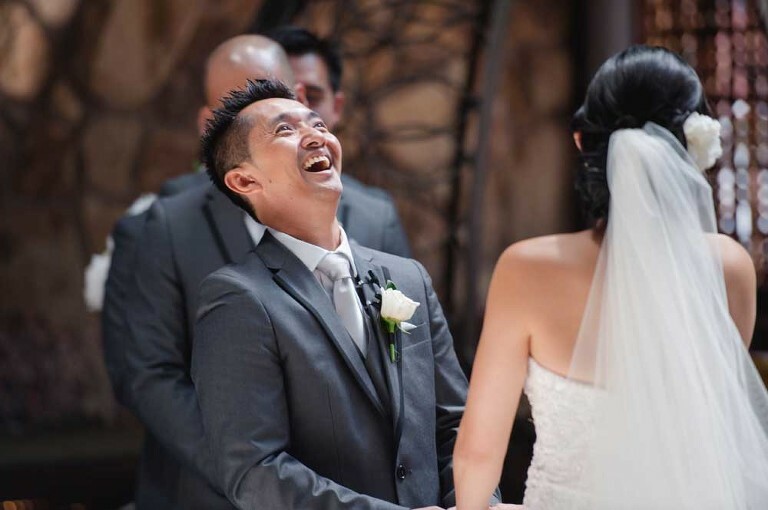 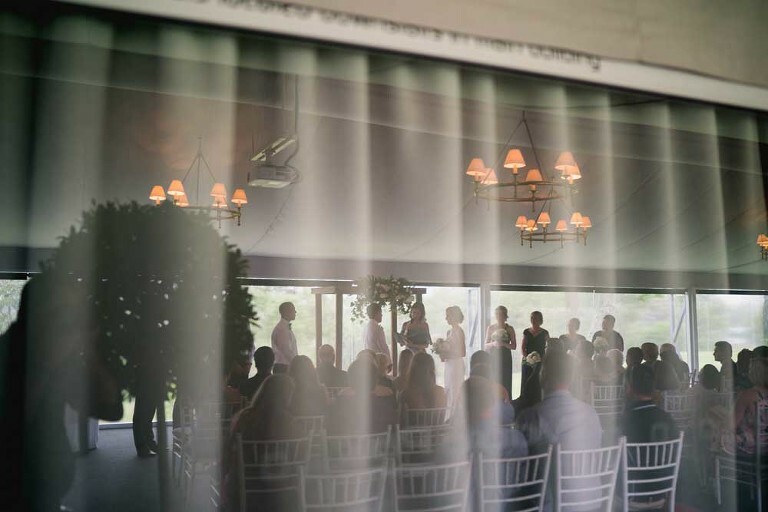 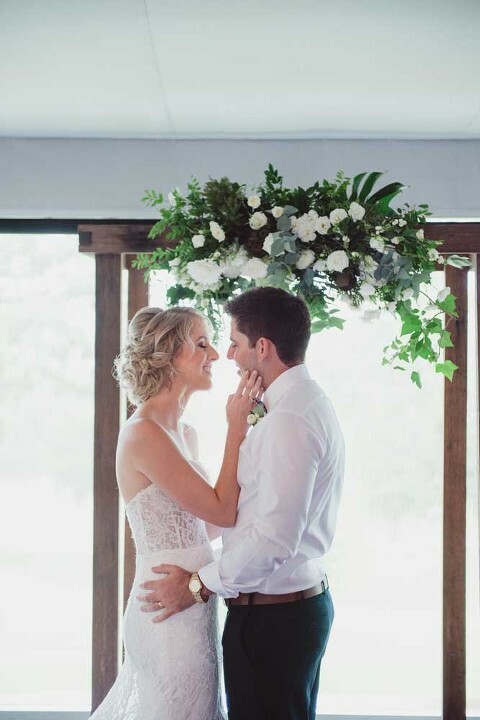 Victoria Park function centre also has an indoor ceremony option, the Garden Marquee. 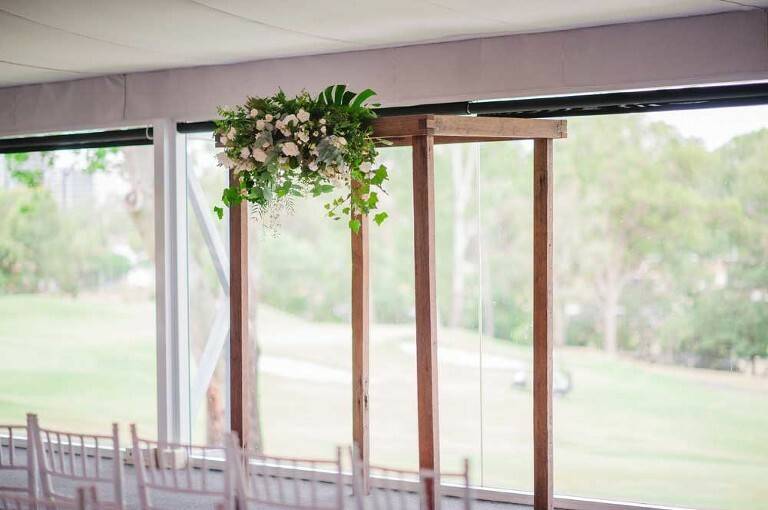 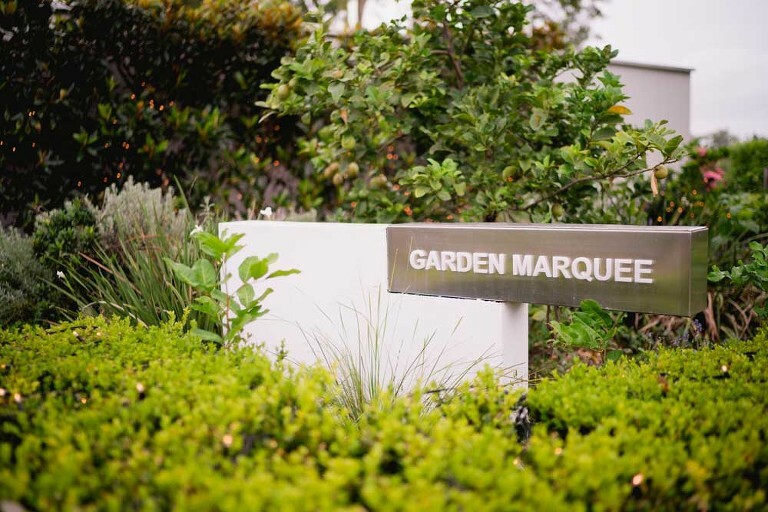 The Garden Marquee with it’s floor to ceiling frameless glass windows, offers stunning views of the Brisbane's city skyline and the tranquil green tree laden course. 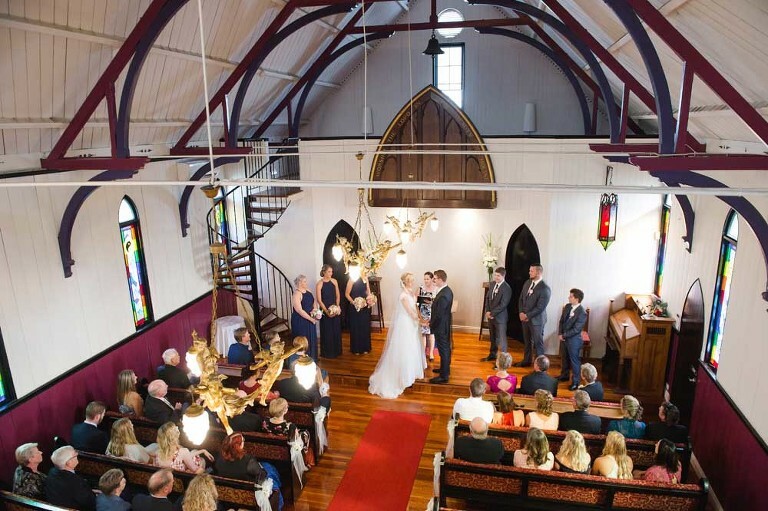 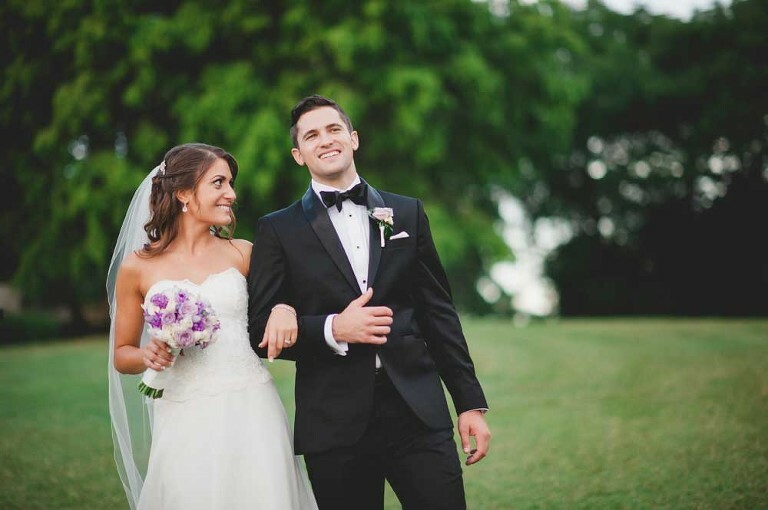 With over five function areas, it is also the ideal all in one wedding venue. 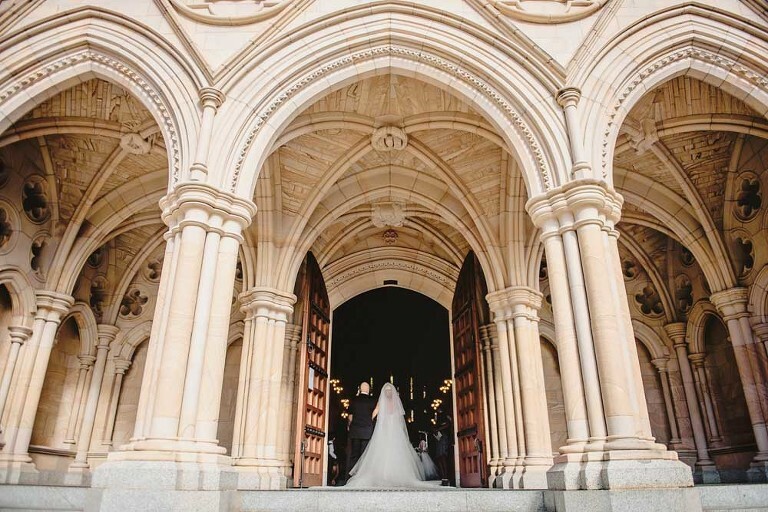 It doesn't get much more iconic than Brisbane's City Hall. 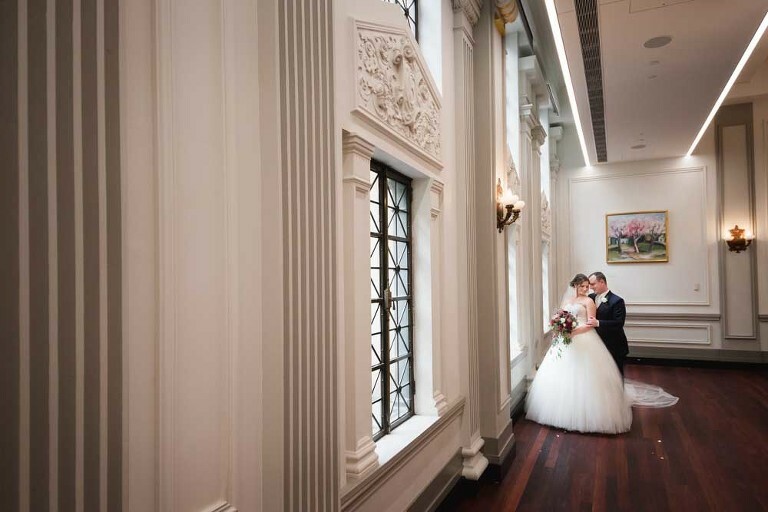 This heritage listed grand old building located right in the heart of the city can be the perfect spot for an elegant wedding ceremony. 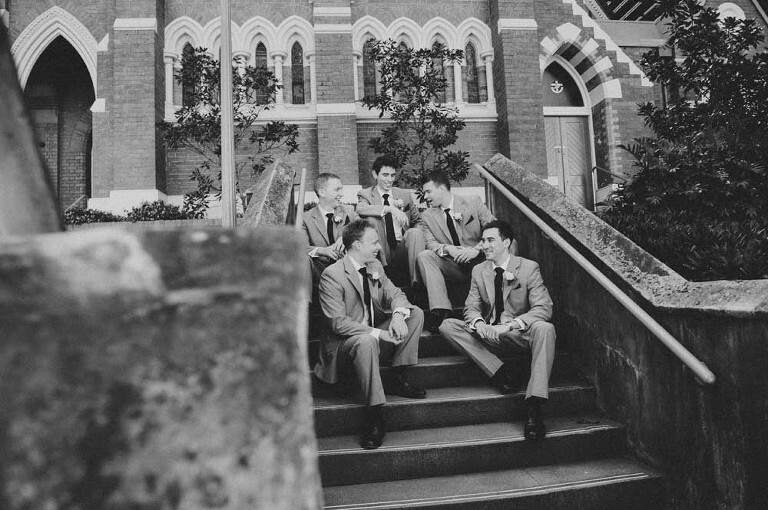 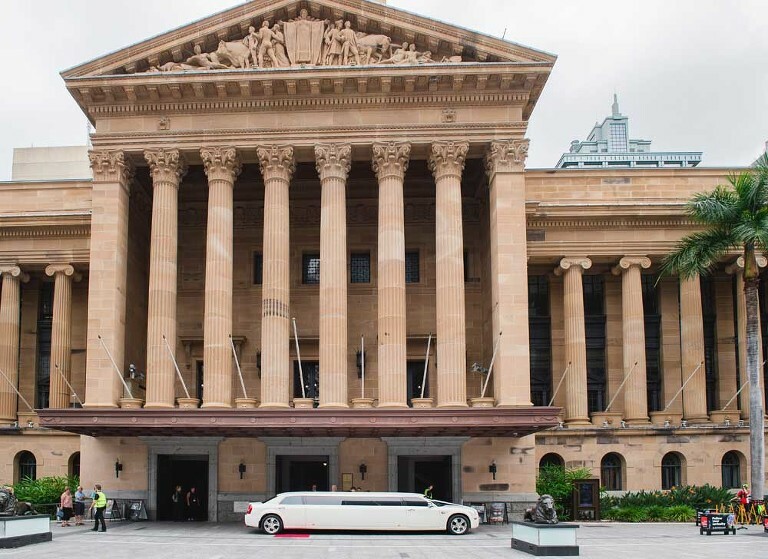 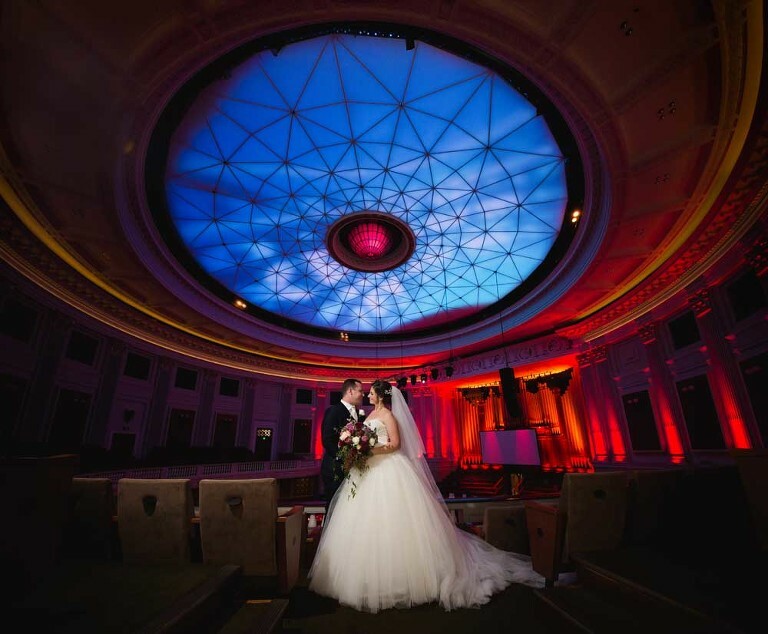 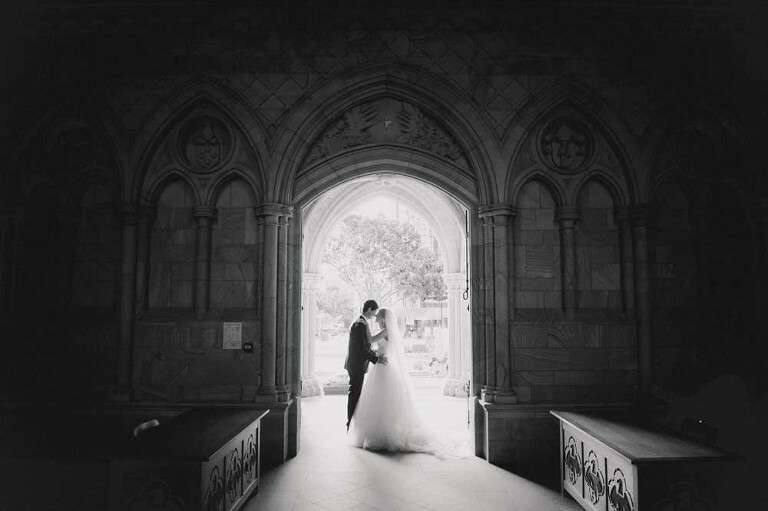 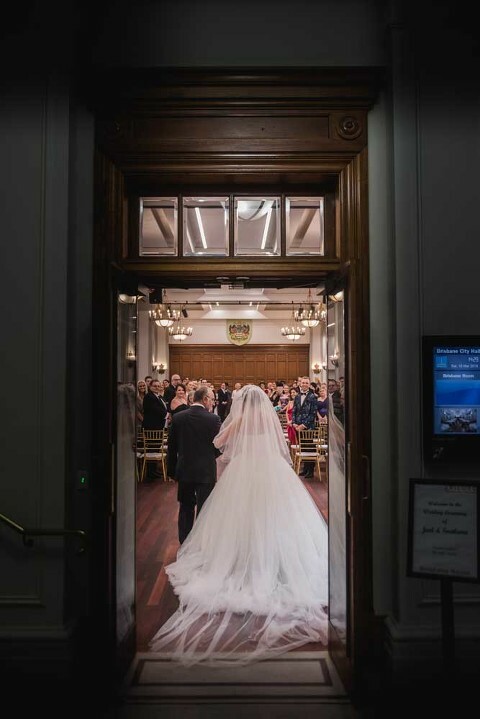 The Brisbane City hall has many room options available for various sized wedding ceremonies. 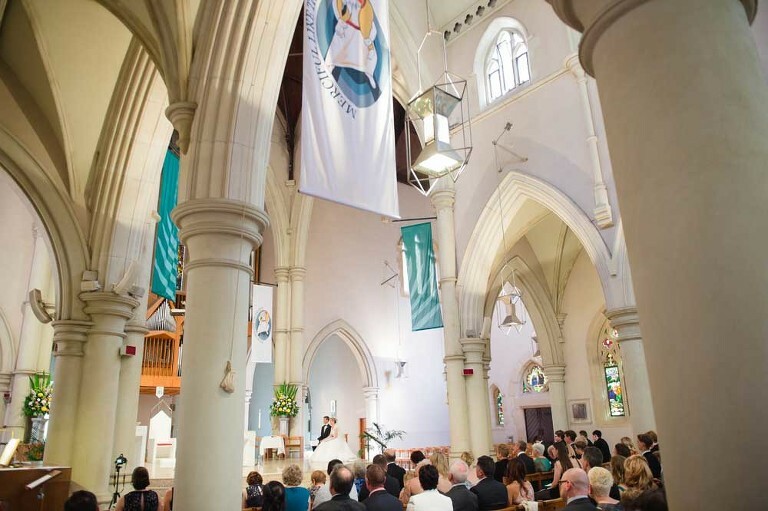 From small and intimate to large and spacious.